It’s not too often that you run across a work environment where you actually like everyone you work with and call many of your co-workers friends; or strong, caring friends at that… and then there’s Composite Approach–where the closest thing that comes to mind is an old TV sitcom that ran for much of the 80’s called Cheers, “Where Everybody Knows Your Name.” Except Mike has replaced Norm and Steve is the new “Coach” … well, the list goes on. Meet our team, where we’re more than co-workers, we’re family. 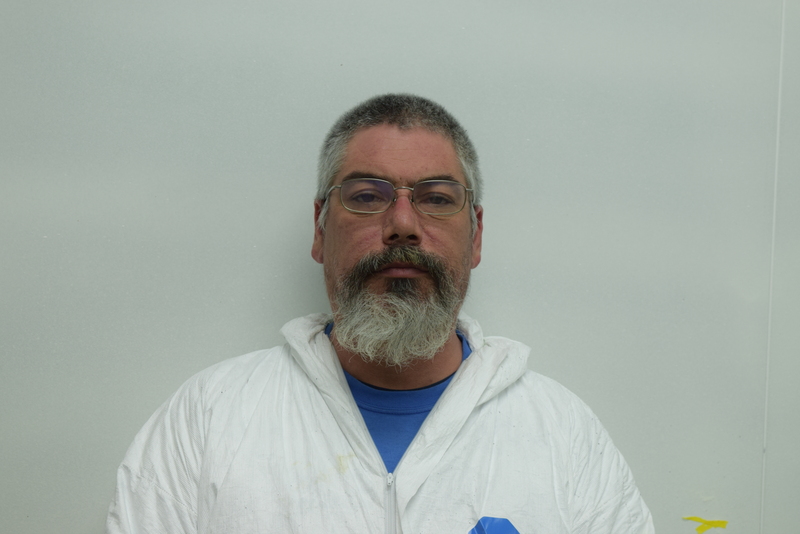 Husband, father, friend, crew chief; Brian Harris is a man of many talents and titles—mostly, he’s a man of his word. Oddly enough, titles aren’t really his thing, and that’s probably why he is as successful as he is at all that he does. 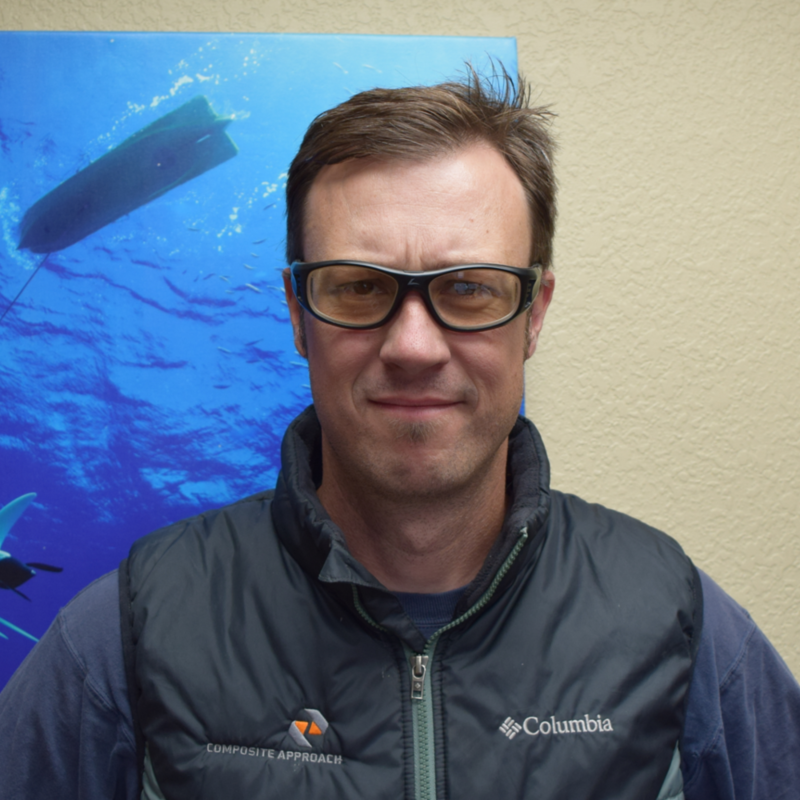 Brian’s keen eye for perfection has set the bar in the composite aircraft industry. 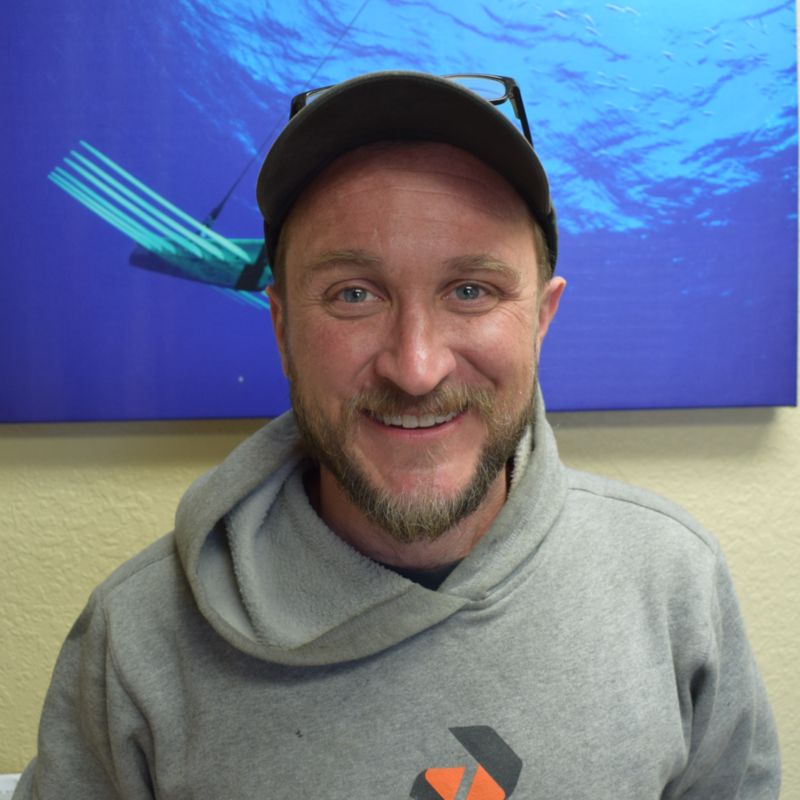 From the ground up, Brian has built his business around the basics: trust, honesty, integrity, and the good ole’ fashioned handshake. 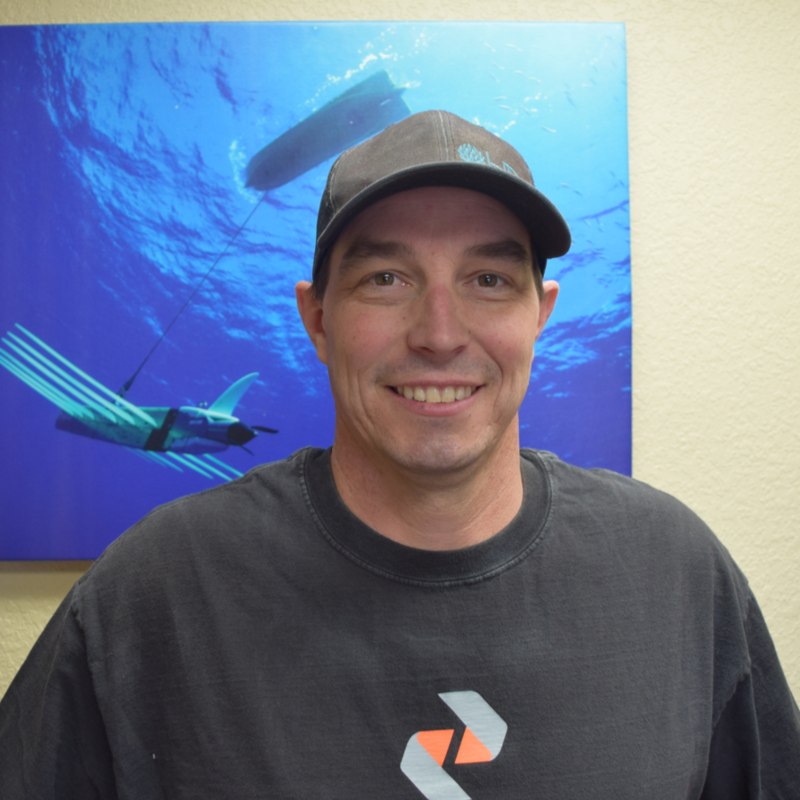 Since 1997, Brian has sculpted Composite Approach into one of the leading contract composite manufacturers in the industry; with much of our focus being in the Composite Kit Aircraft Sub-contracting business, he is continually pushing our envelope into the world of Advanced Composites as well. Born and raised in Bend, Brian has spent the majority of his life seeking every back road known to exist in Oregon. 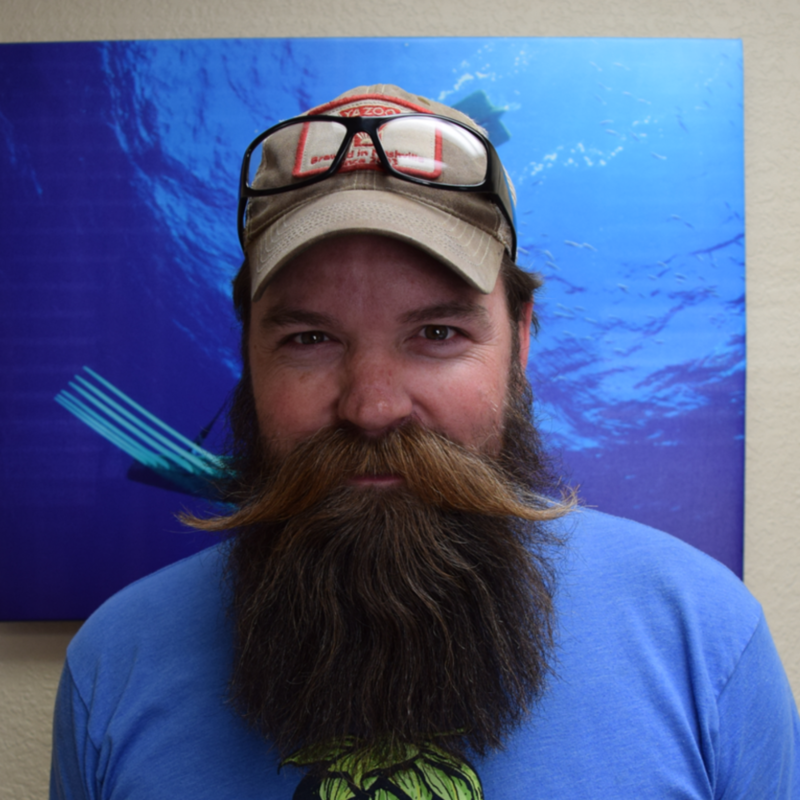 A long-time bow hunter, off-road four-wheelin’ junkie, dirt bike racer, mountain biker, pilot, and professional tinkerer, it’s a mystery how Brian finds time to sleep. Wife, mother, friend, crew chief to the crew chief; Holly Harris is hands down one of the nicest women on God’s green earth. 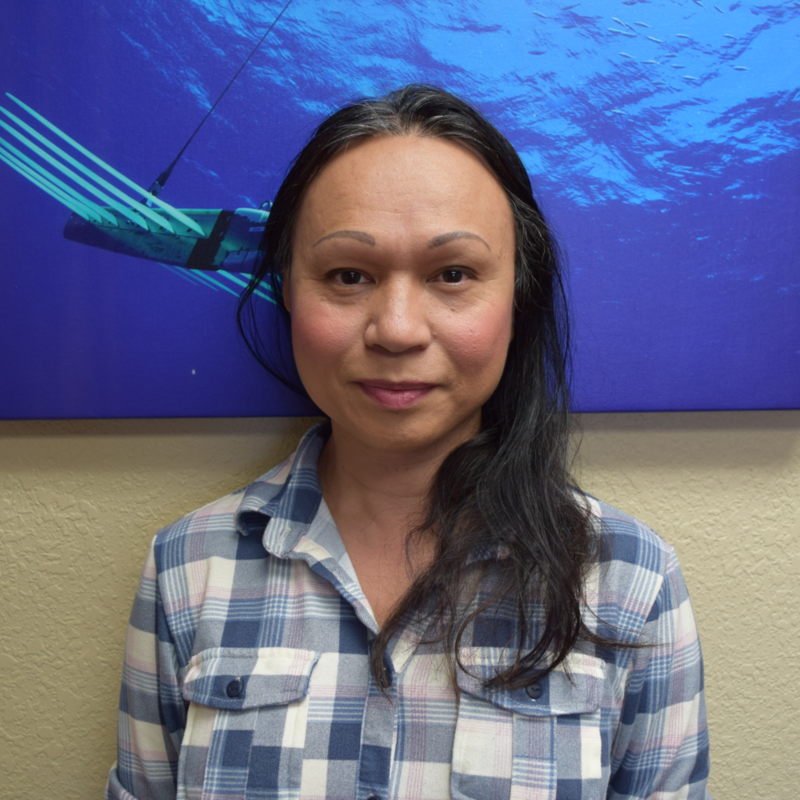 Her impeccable organizational skills, stunning sense of class, and orderly detail have given new life to a side of our business that we haven’t seen in our history. 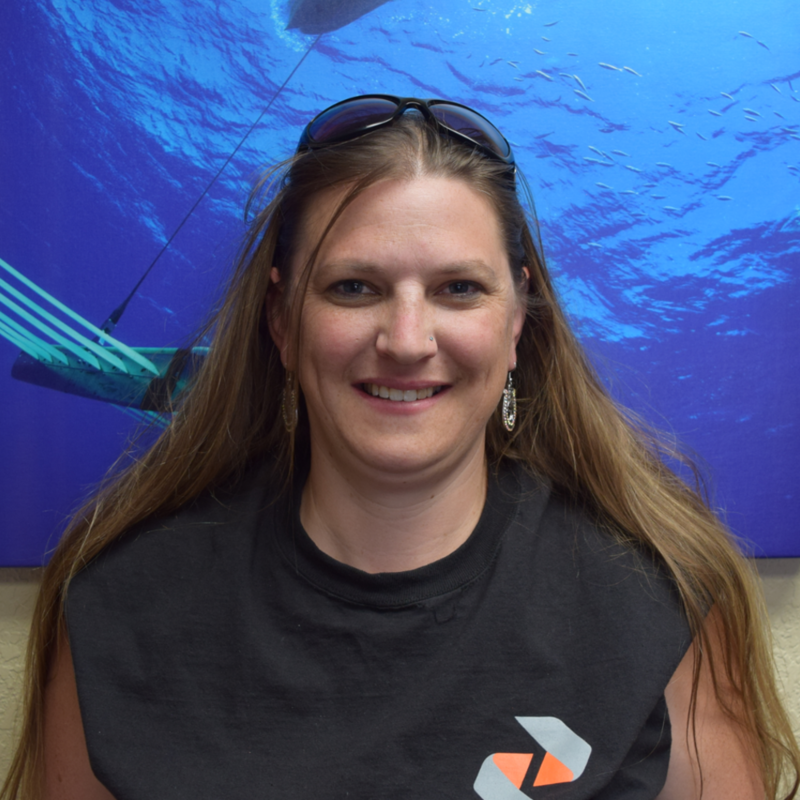 Having spent 12 years as our behind-the-scenes bookkeeper, it wasn’t until the fall of 2015 that Holly decided to make it public and official. 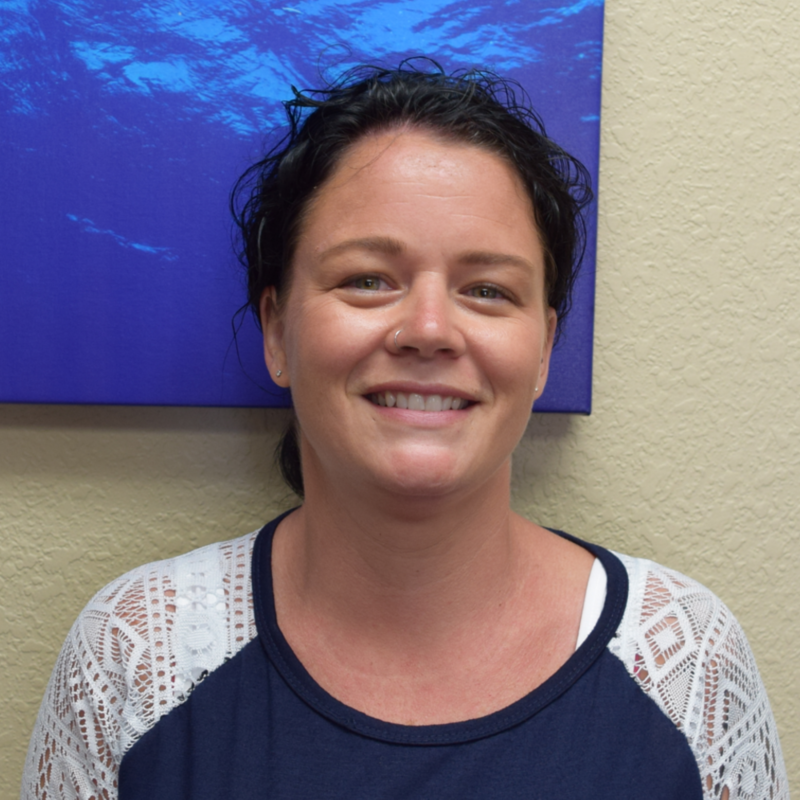 With a degree in elementary education, Holly has spent several years of her life pouring into the lives and minds of our youth. 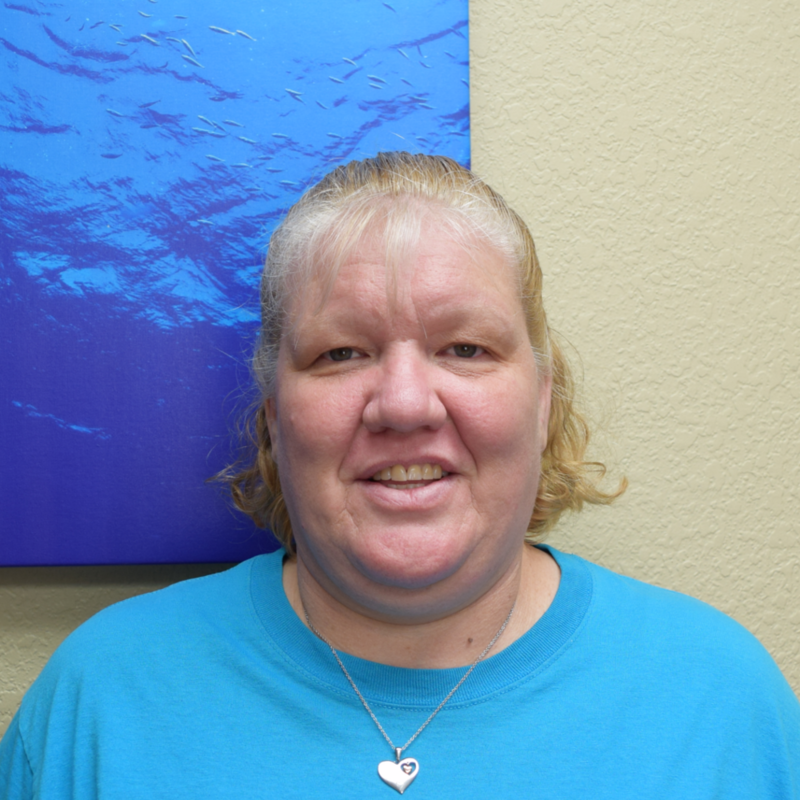 We’re thankful and blessed to have Brian’s better half here at the office! 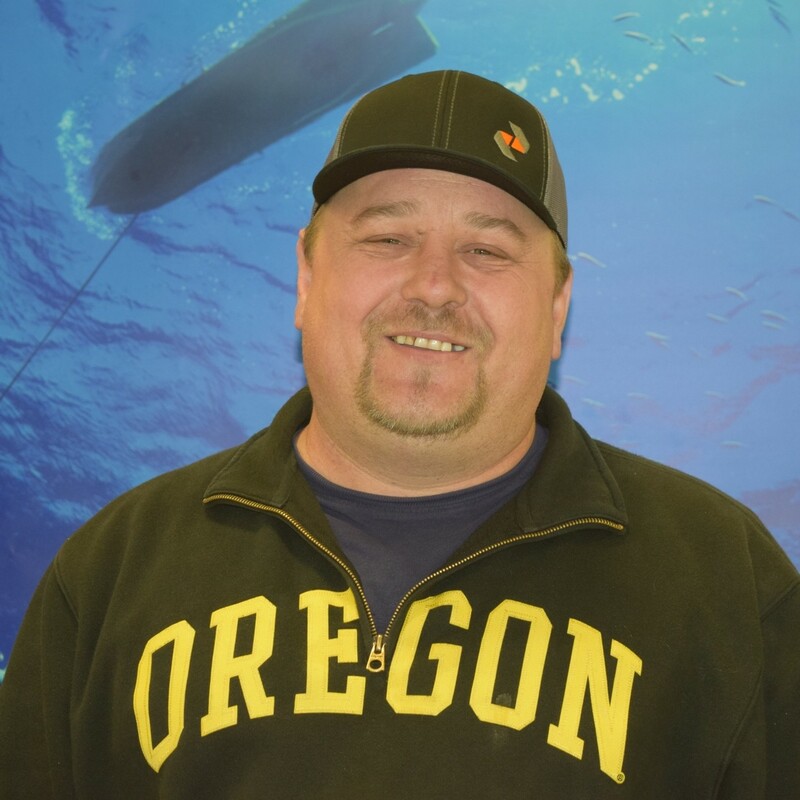 An Oregon native, Sam grew up on the wet, rainy side of the Cascade Mountain Range, in Salem. 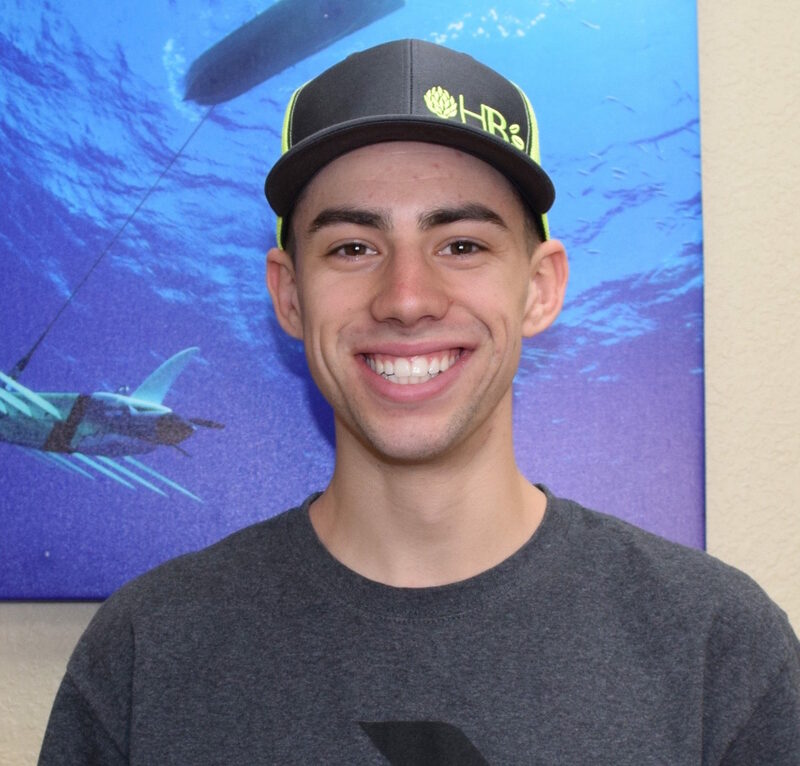 After high school he migrated south to San Diego County in Southern California, to complete a degree in Aviation Flight Technology. 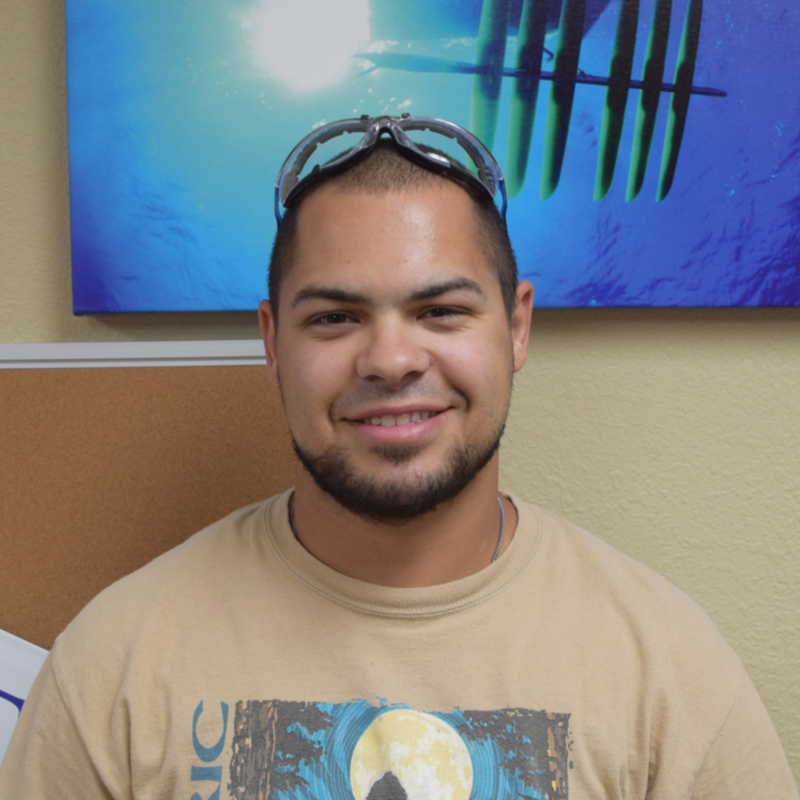 While in college he pursued his maintenance apprenticeship at a local aviation maintenance facility. After marrying and having his first child he realized the value of family and a different pace of life drove him back to the Northwest, this time to the drier side of the Cascades, Central Oregon. 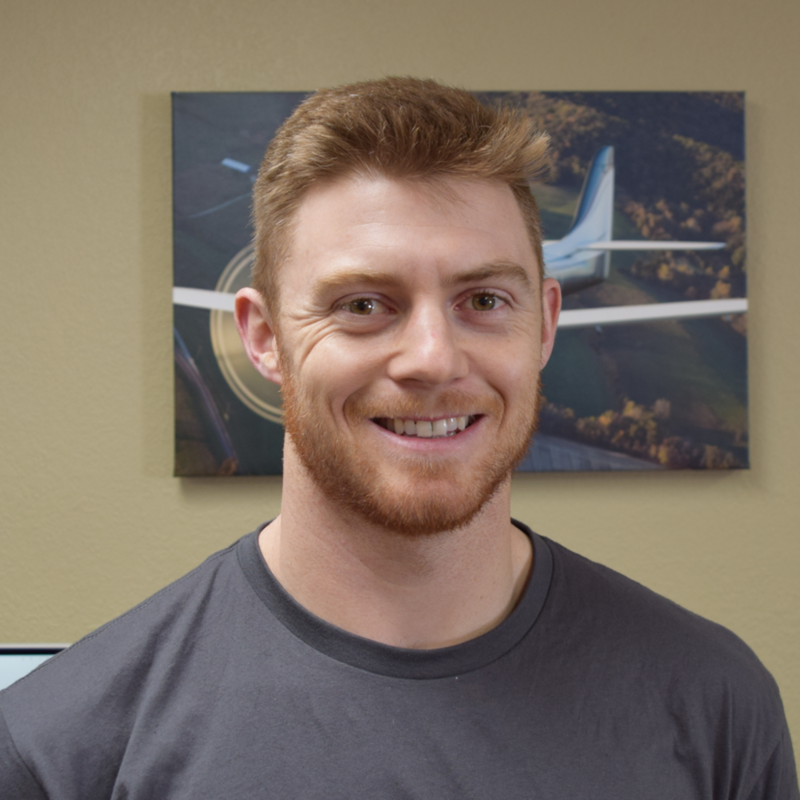 Since arriving back in Oregon, Sam has excelled in the high tech aviation industry, as a production flight test pilot and flight line lead mechanic at Columbia Aircraft Manufacturing in Bend, to more recently Operations Manager of RDD Enterprises, who specialized in custom aircraft kit manufacturing, aircraft modifications, and a full-service maintenance facility. 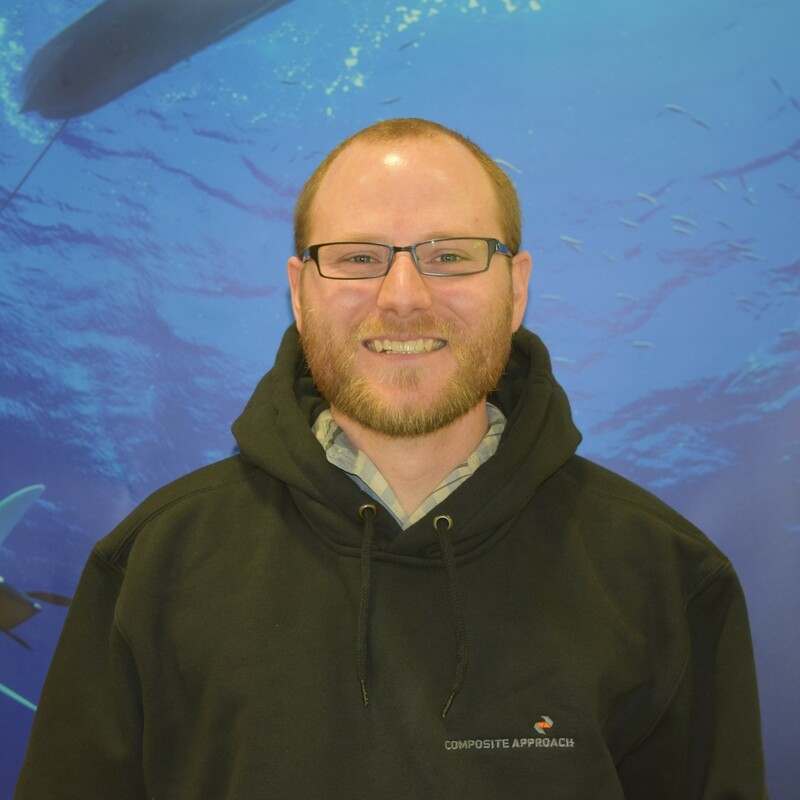 We were pleased to welcome Sam onto the team as a General Manager in October of 2013. 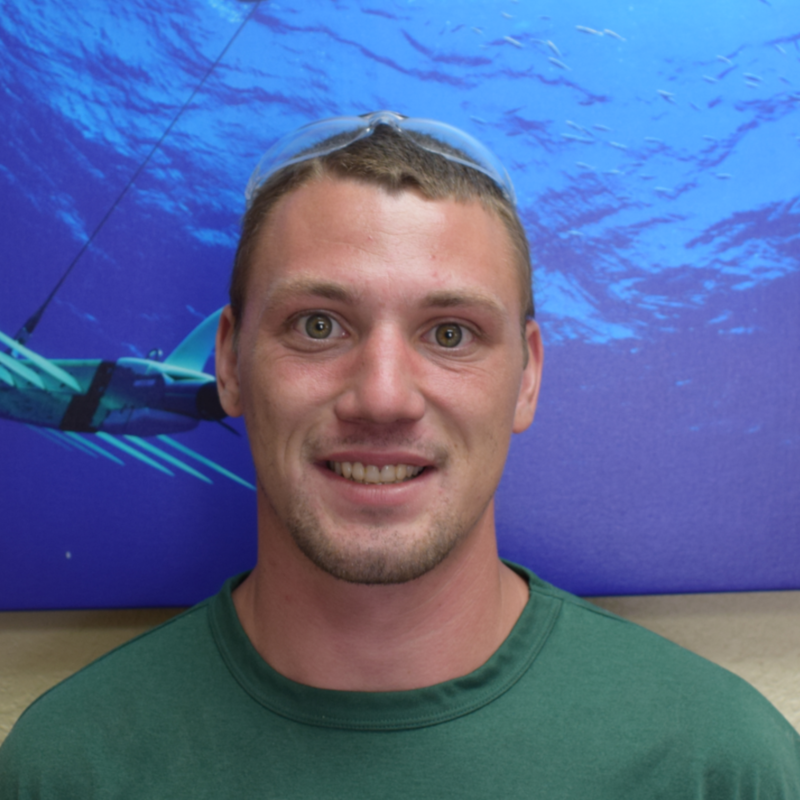 Sam is married to his best friend and is very involved in his three very active kids’ lives. Just like at work, he is a huge proponent of all things team-oriented—as evidenced by his experiences from coaching little league football, basketball, volleyball, and baseball for his kids, to leading mission teams to Africa through his church. He is committed to excellence and hard work in achieving the collective goals of all team members. 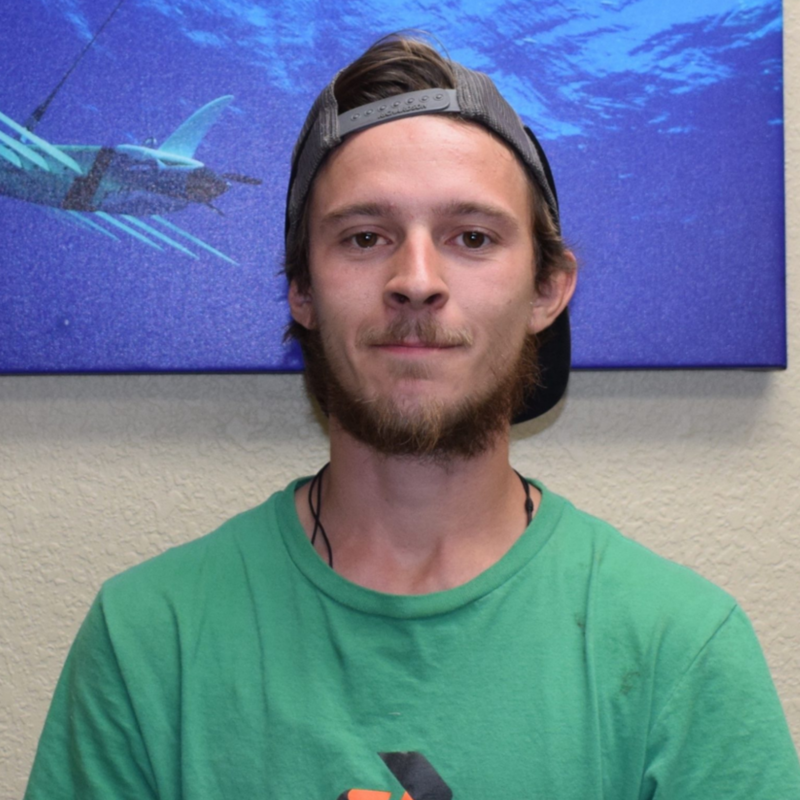 His hobbies include hunting, hiking, backpacking, and all things outdoors that bring him closer to nature and the One who created it. Growing up as a Michigan native, Brian has known a thing or two about business from a young age. Working his way up as paperboy for the Grand Rapids Press, he eventually worked on building nuclear submarines in Portsmouth Naval Shipyard; later to earn his MBA degree. Now his next chapter is right here at Composite Approach where he runs everything from sales to marketing. And that’s not the only thing he runs- Brian is a triathlete that’s tackled the Boston Marathon in under three hours! 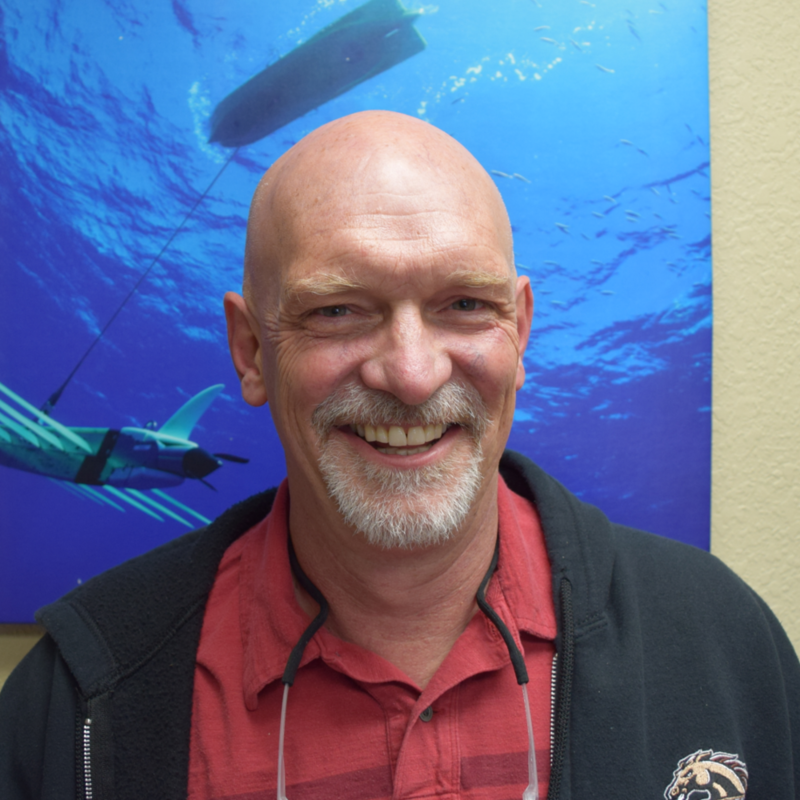 He appreciates how Brian H. and Sam make sure everyone’s goals are in alignment, and we all seem to pulling in the same direction at Composite Approach. As a father of two perfect daughters and a husband of 25 years, we are truly grateful to have Brian as a part of our team. Originally one of the Back Street Boys, Mike can move on the dance floor like none other. Or maybe the story goes something like this. After Brian spent a few years building planes by himself, he decided to hire some help. Some might call it help, some might label it as a really bad nightmare, either way, Mike McReynolds showed Brian a few magic tricks and a sleight of the hand later, became Brian’s go-to man, a “second” of what would become the “three” amigos. 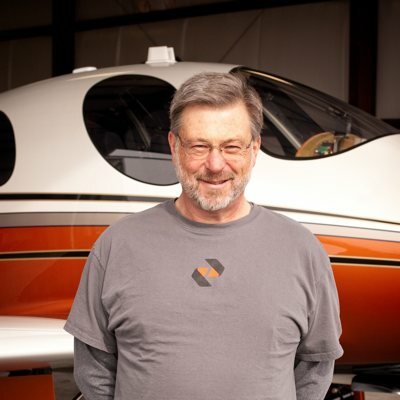 Mike built a few Lancair kits over the years and quickly became a lead foreman around the ever-growing shop that is now hammering out Kitty Hawk Flyers. 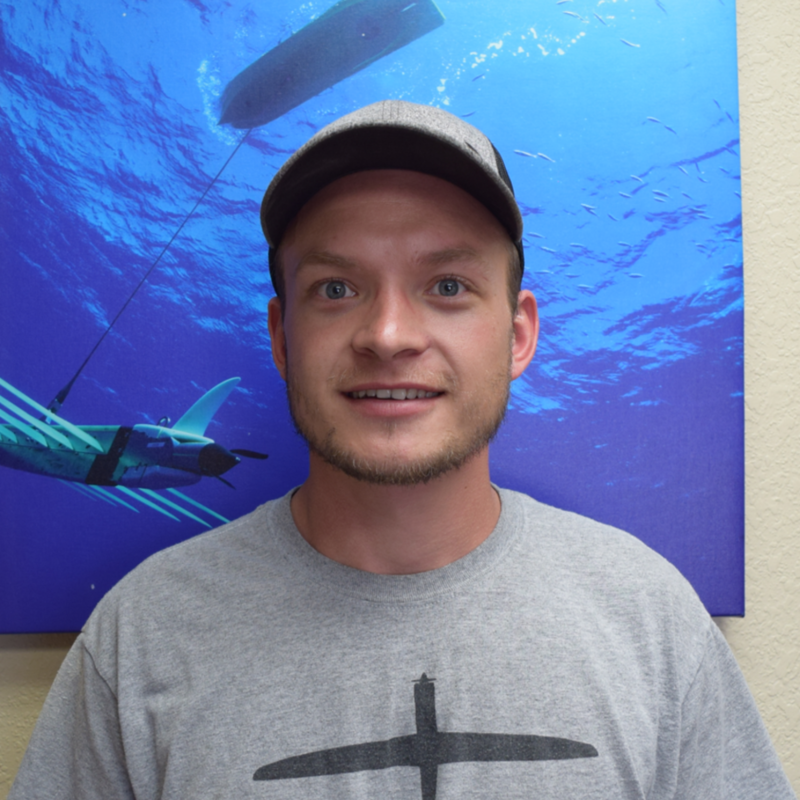 After a stint away from all of the carbon fiber dust and airplane goodness, Mike “re-joined” team Composite Approach, back and better than ever (much like a Back Street Boys reunion) re-establishing his shenanigans around the shop. 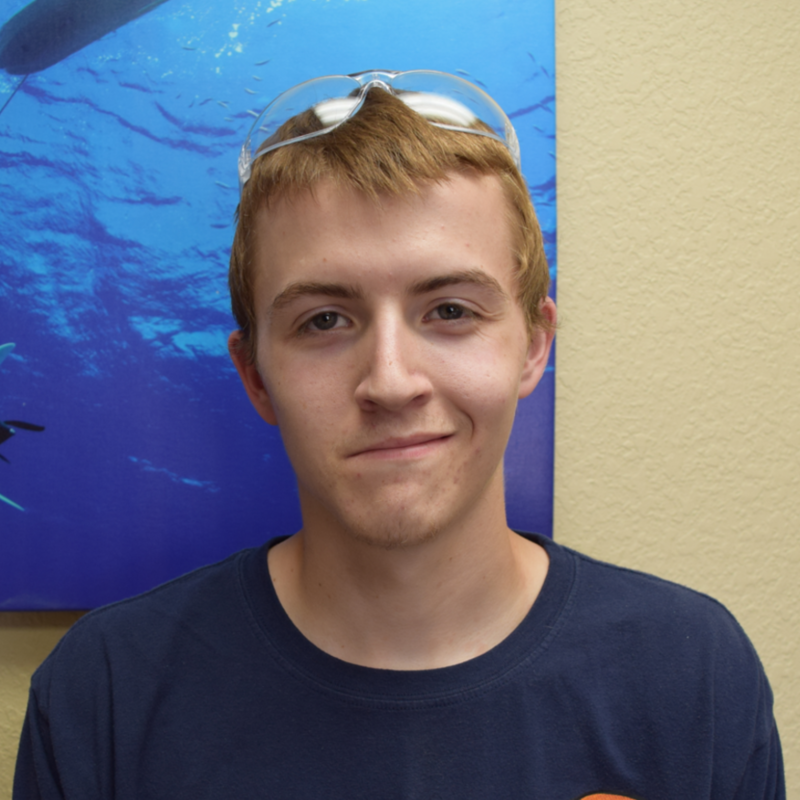 Mike is an incredible asset to our team and a machine when it comes to being a Kitty Hawk Lead. 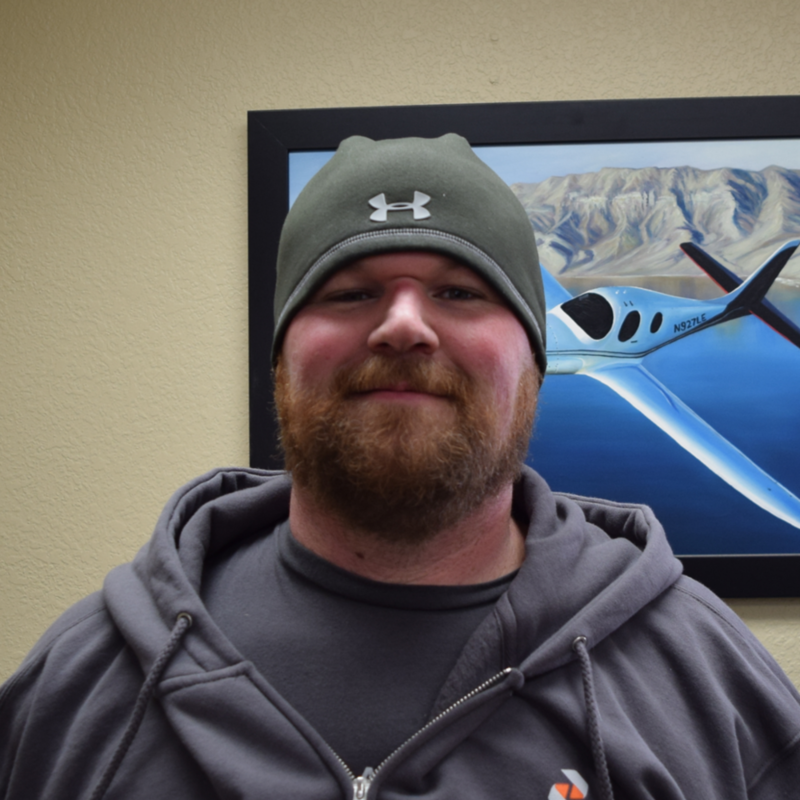 He is an “air master”—overseeing production of aircraft parts and acting as a liaison for aircraft customers. All kidding aside, he’s one of the most liked and respected guys around. We are truly blessed to have our close brother back. 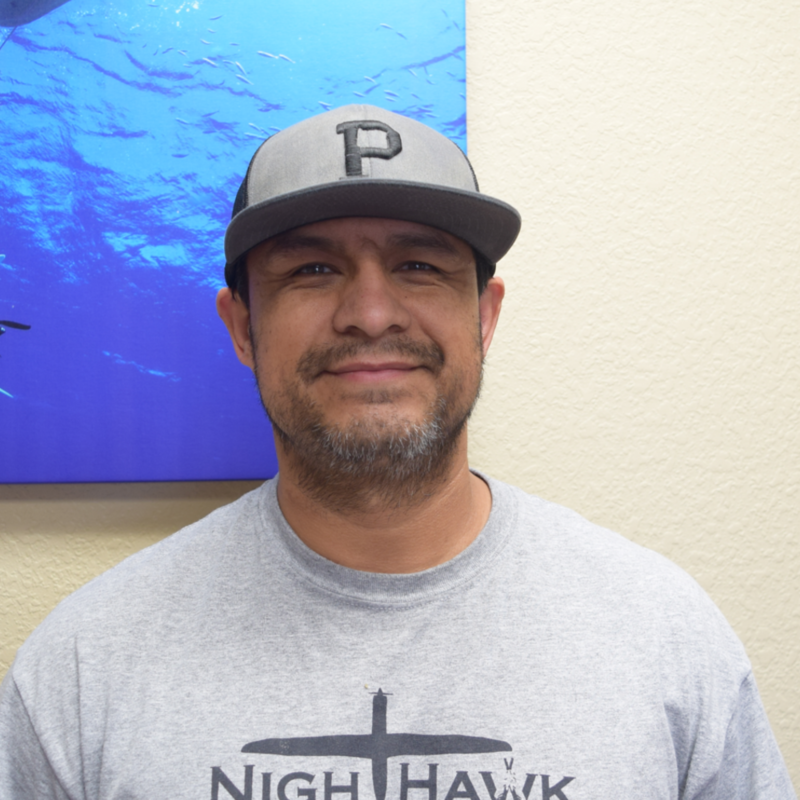 An awesome dad to three kids and a loving husband to his better half, Mike spends most of his spare time hanging out with his family. 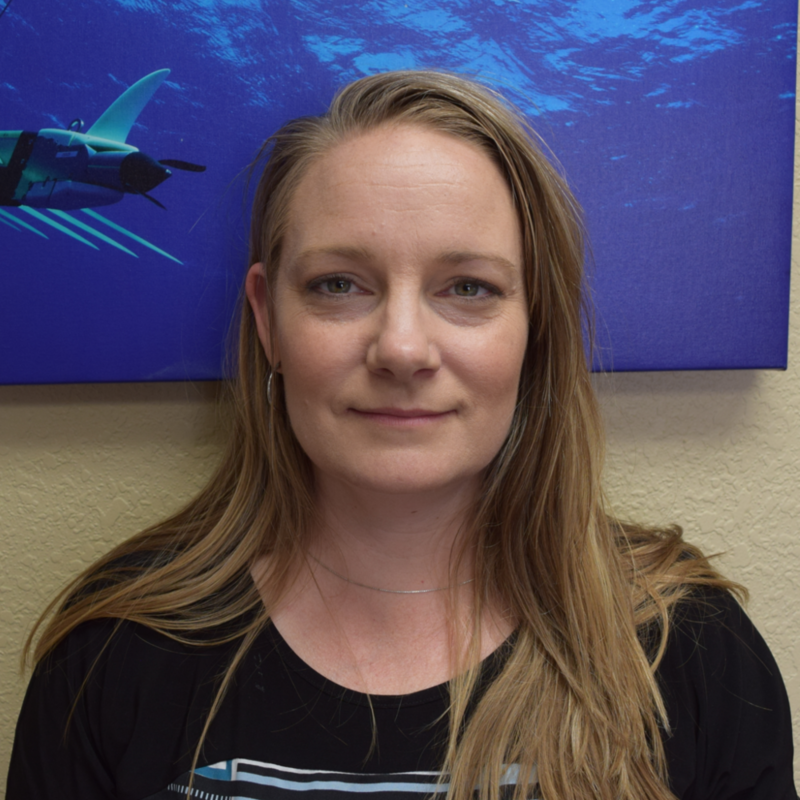 Kelley and her team handle everything behind the scenes here at Composite Approach – from fending off FedEx, to fueling the team with snacks, to noses-in-their-screens updating info – there is always something going on behind the scenes here. 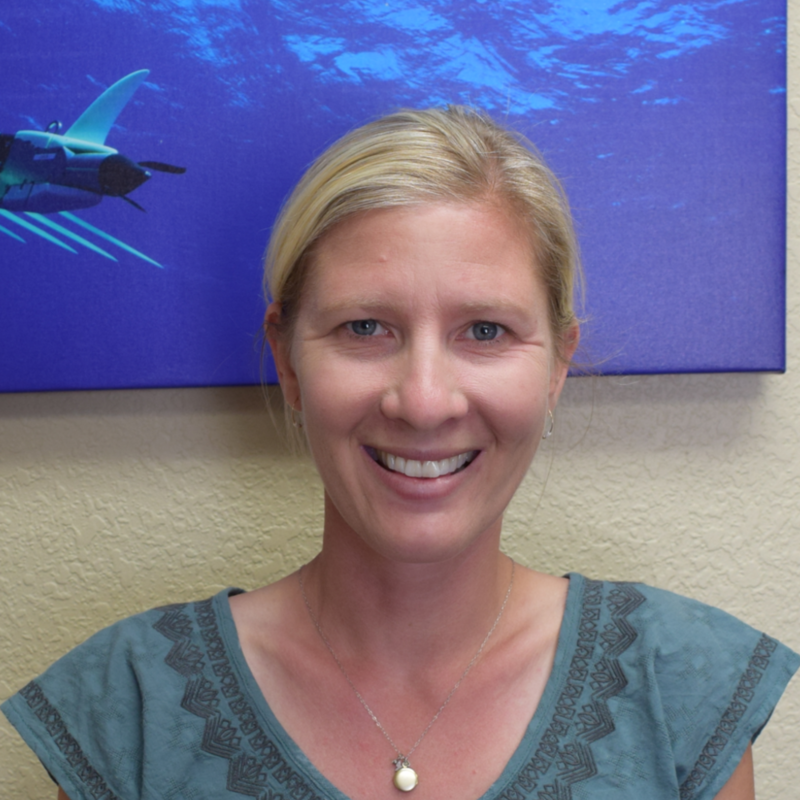 When she’s not in a mountain of paperwork, Kelley might be up in the mountains kayaking, or home reading, or playing games with friends and family, or chatting at a local pub or coffee shop. 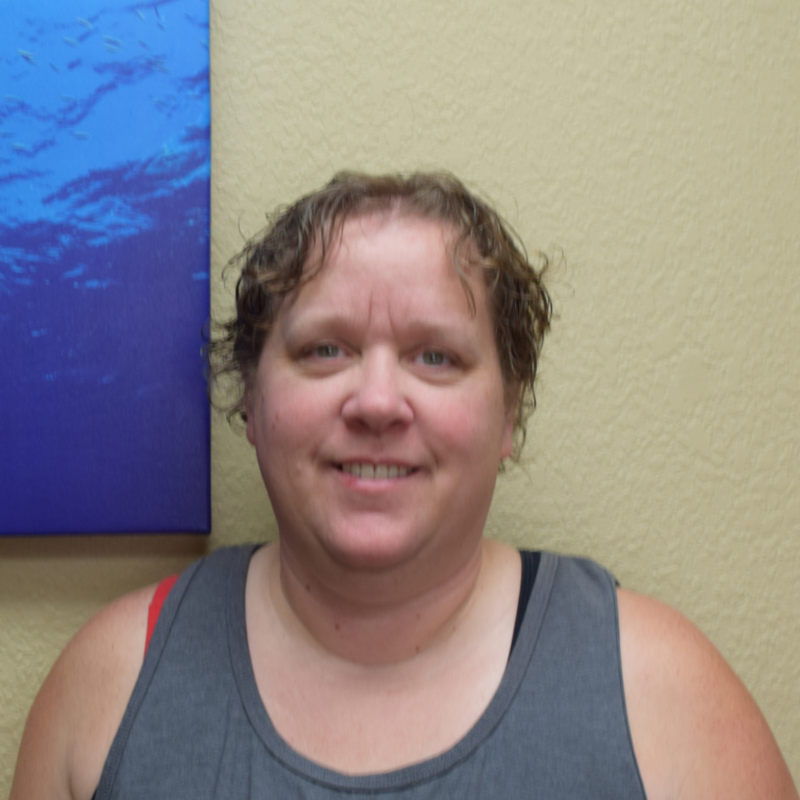 Kelley likes to stay busy and has definitely found the right niche as Office Manager here – she keeps our company in motion. 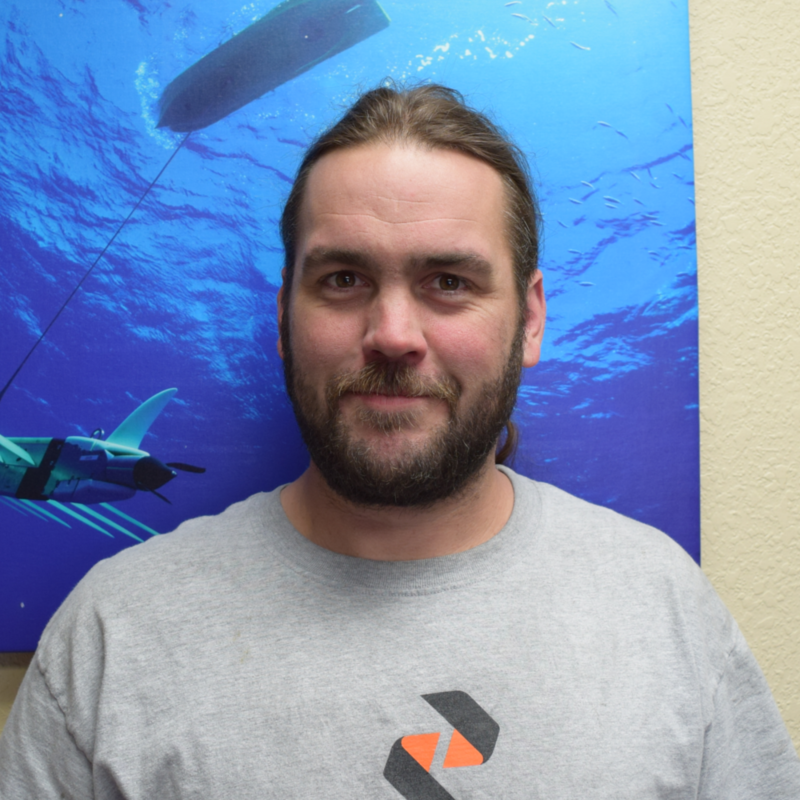 As CNC Lead Engineer, Bryan is always making the cut. After getting involved in robotics, CAD, and CNC clubs in high school, he moved to New York to pursue mechanical engineering. Shortly after, Bryan came to Central Oregon for the climbing, back-country snowboarding, mountain biking, and Composite Approach of course. 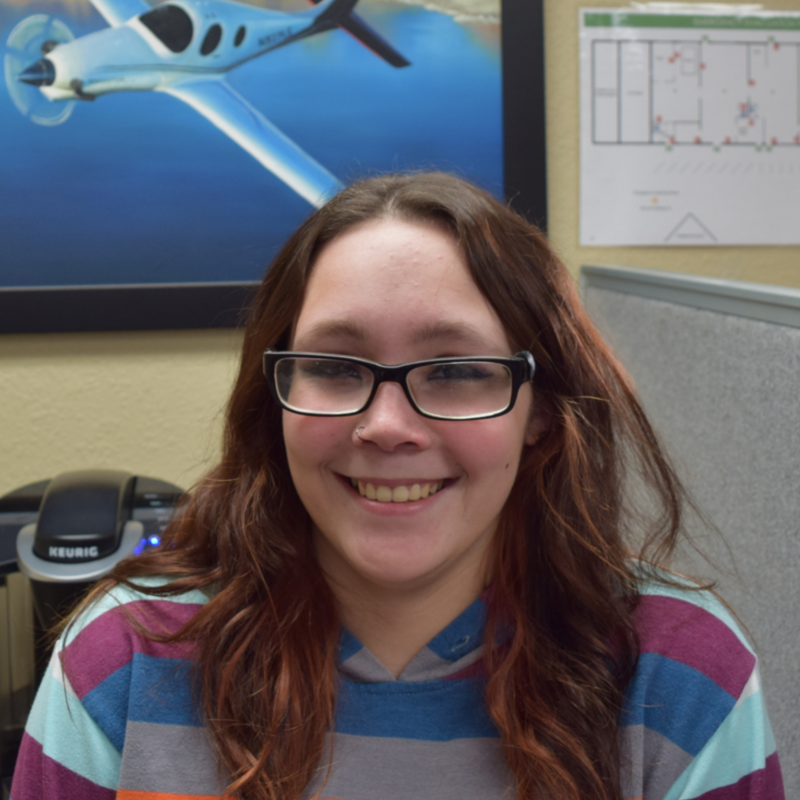 Being interested in the aerospace field, and having a prominent background in tech, Composite Approach seems like the perfect fit for such a talented individual! 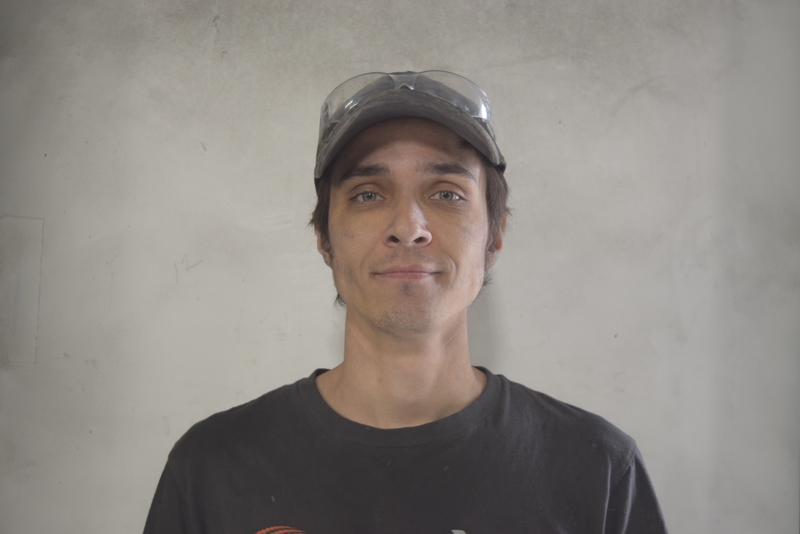 We are thankful to have Bryan direct the operation of our CNC machines, and simply be apart of the team. 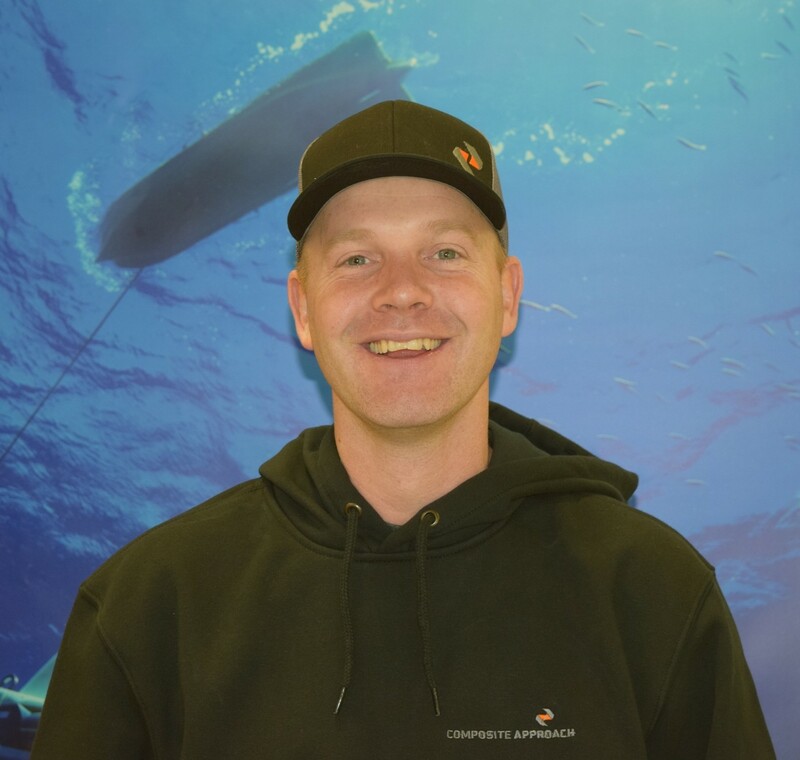 At Composite Approach, you can find Jason working on just about anything, with a wide range of skills that he’s picked up along the way. 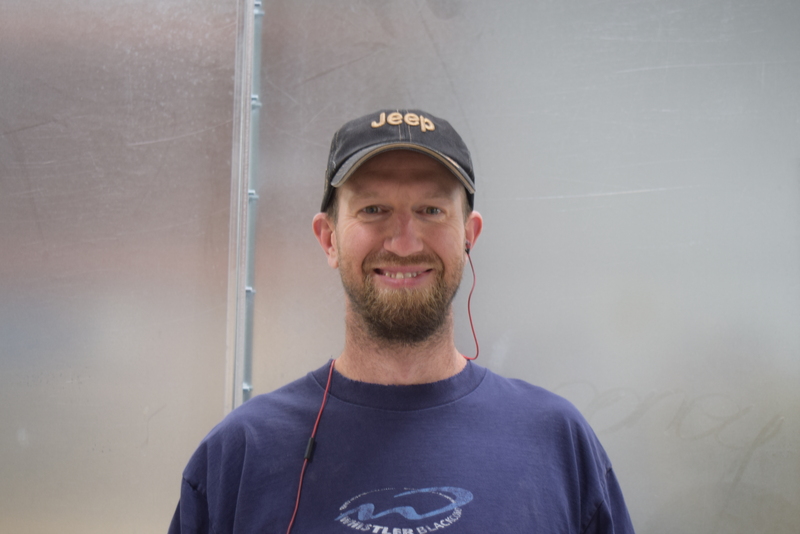 From using fiberglass to create automotive audio panels, to gaining welding experience at Foose Design. Working on hot rods there, his team earned the Don Ridler Award and went on to star in TLC’s “Rides” and “Overhaulin'”! From there he got more involved in aircrafts, working on planes like Lancair Evolutions, where he just so happened to meet Sam. Ever since he has been an big asset to Composite Approach. When he’s not busy with product development, you can often find him bow hunting, camping, mountain biking, and spending time with his family. 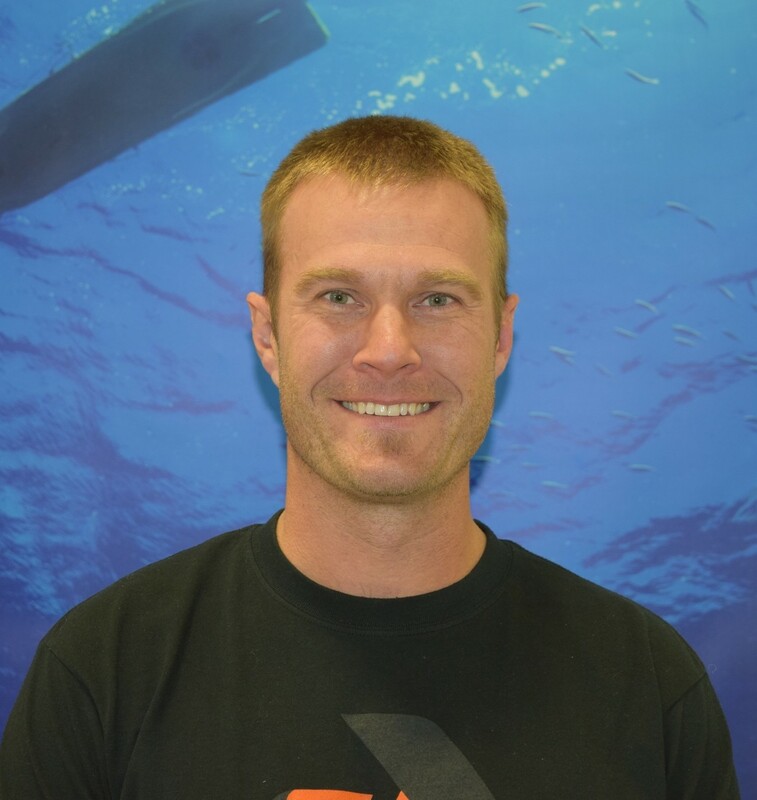 We’re fortunate to have Jason as a part of our team! Growing up, Jack liked remote control cars—and anything else that moved. “If it makes noise, I like it,” he says. 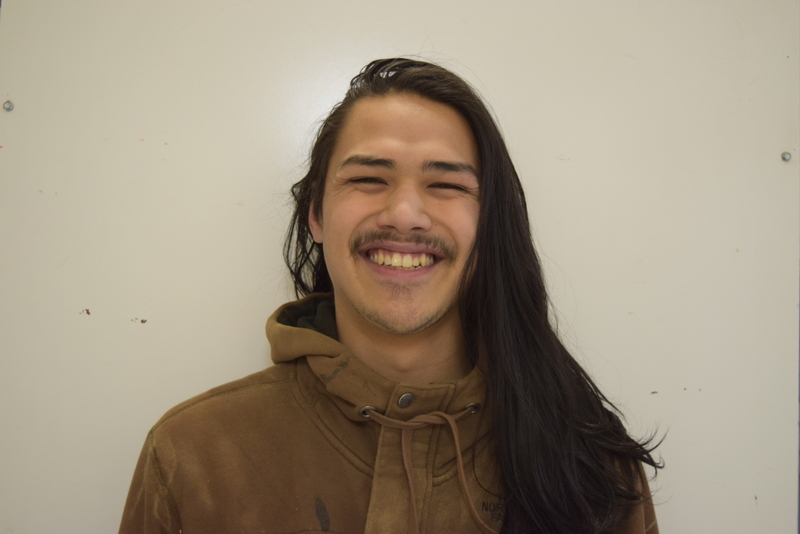 A true, native-born Bendite, he loves anything outside—including exploring the woods, riding his motorcycle, and working on his 1997 Ford F250. 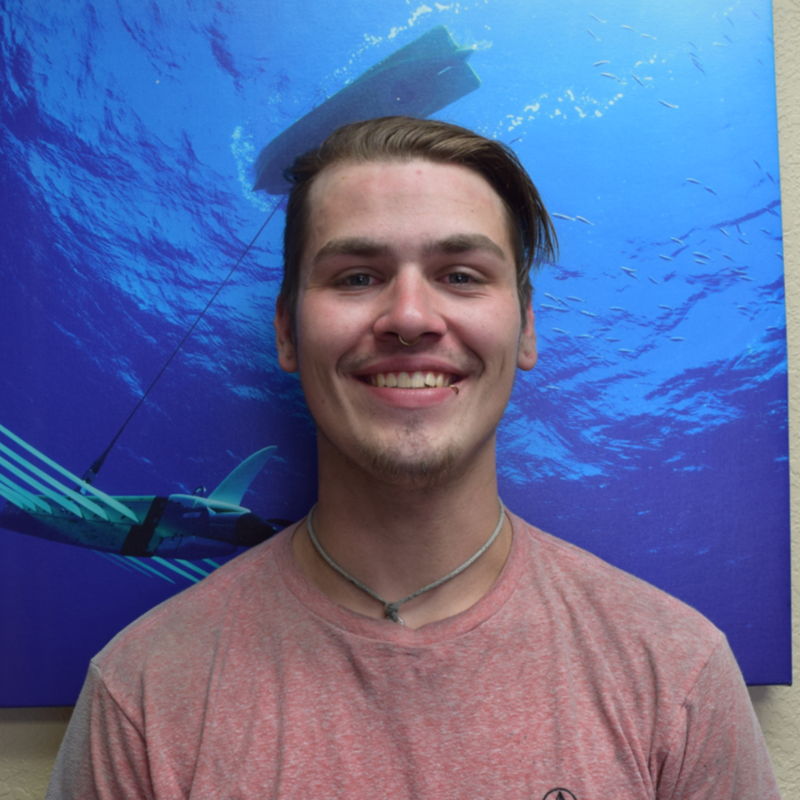 Jack was introduced to woodworking in high school, in a woodshop class during his freshman year. 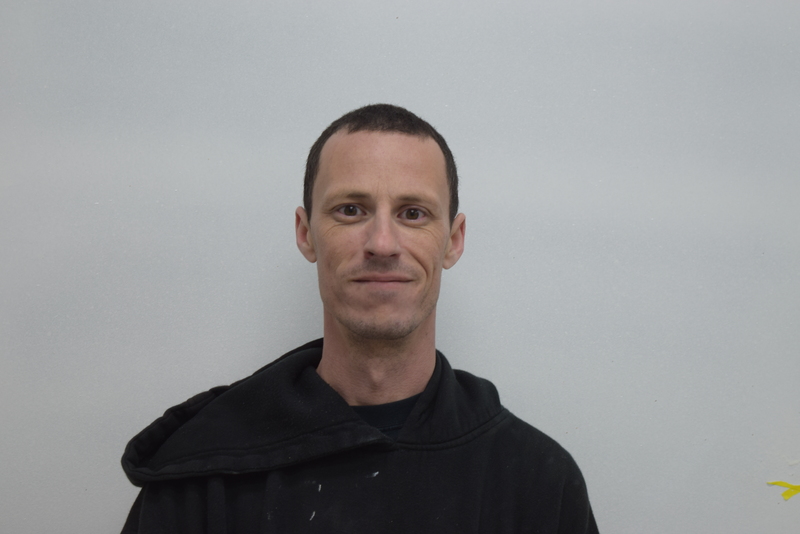 He started his own business, crafting cutting boards for two years. 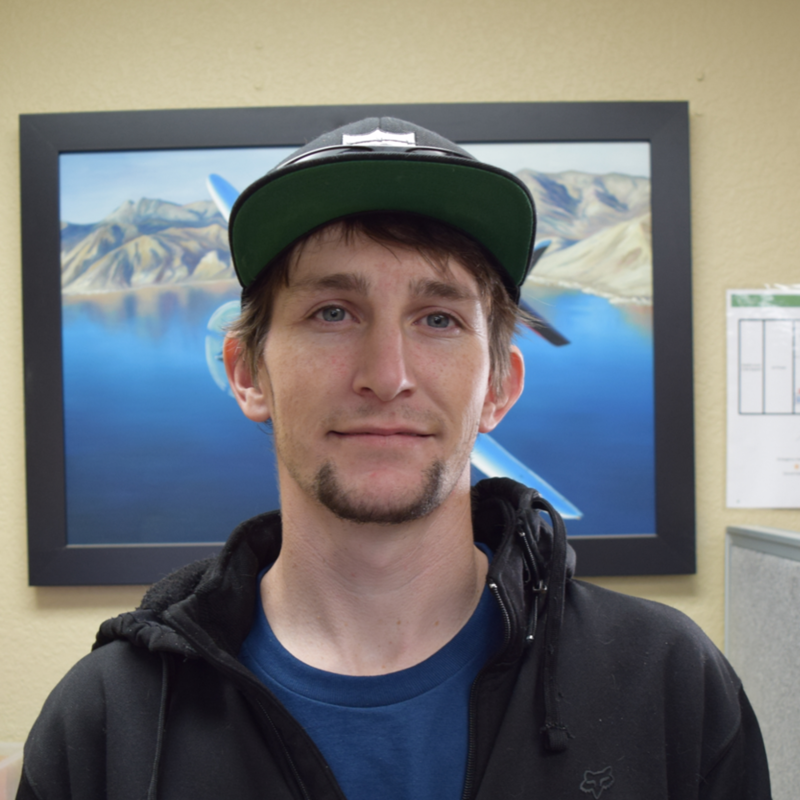 After high school, he earned his Associates of Arts degree at Central Oregon Community College, while working swing shifts as a composite technician at Epic Aircraft. 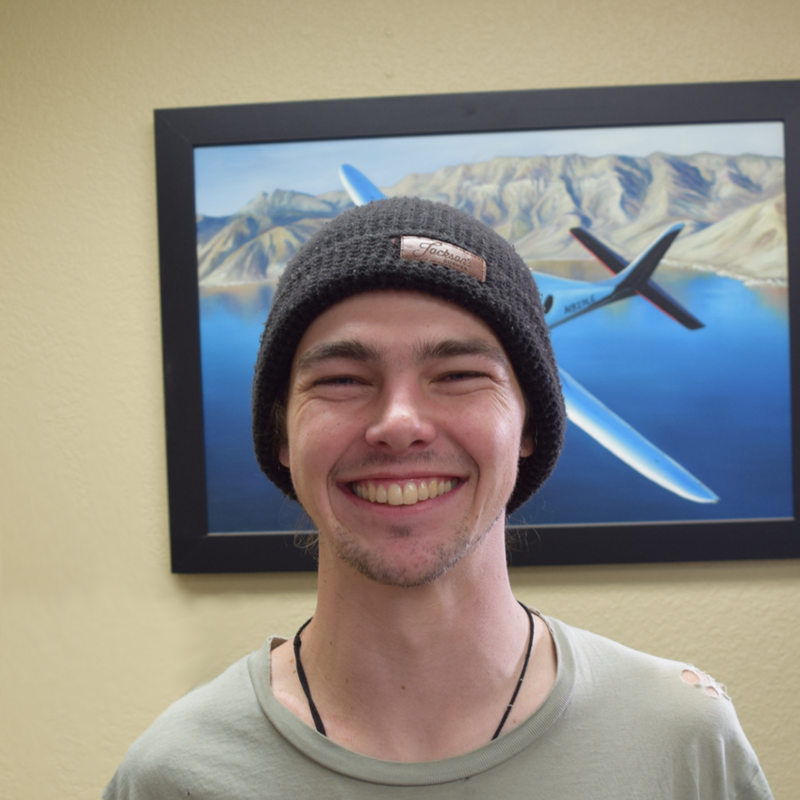 This was his first experience in composites, and he enjoyed it so much that, after graduating from COCC, he decided to take a full-time day job in the industry—here at Composite Approach! 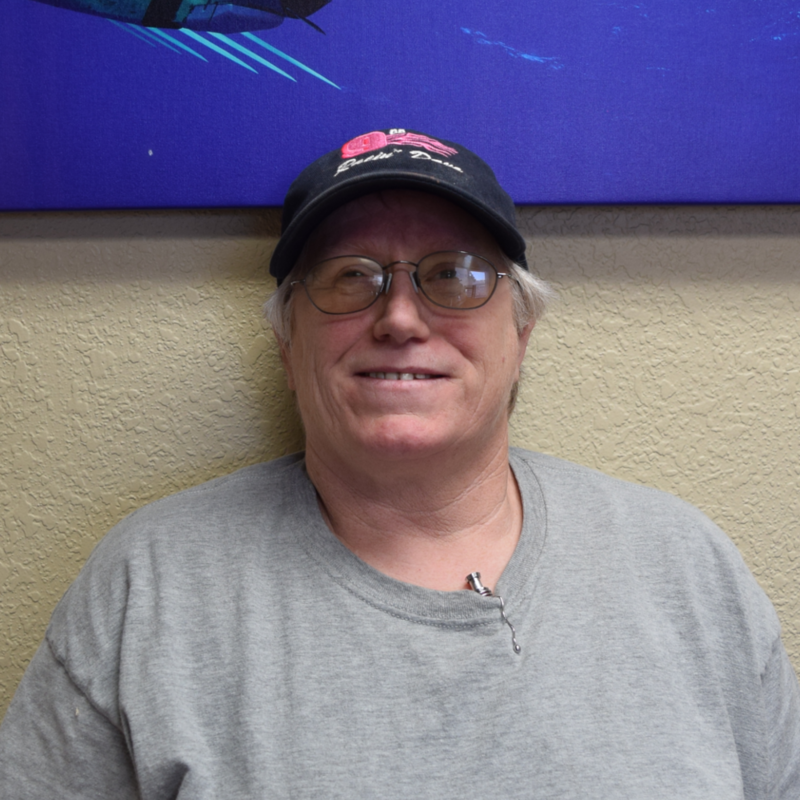 Jack says he appreciates the care shown by the management toward employees, as well as the willingness to listen to and work with employees. He says the leadership is well-structured and he likes that the technicians have a lot of responsibility and influence in their projects. We’re happy to have Jack on board! 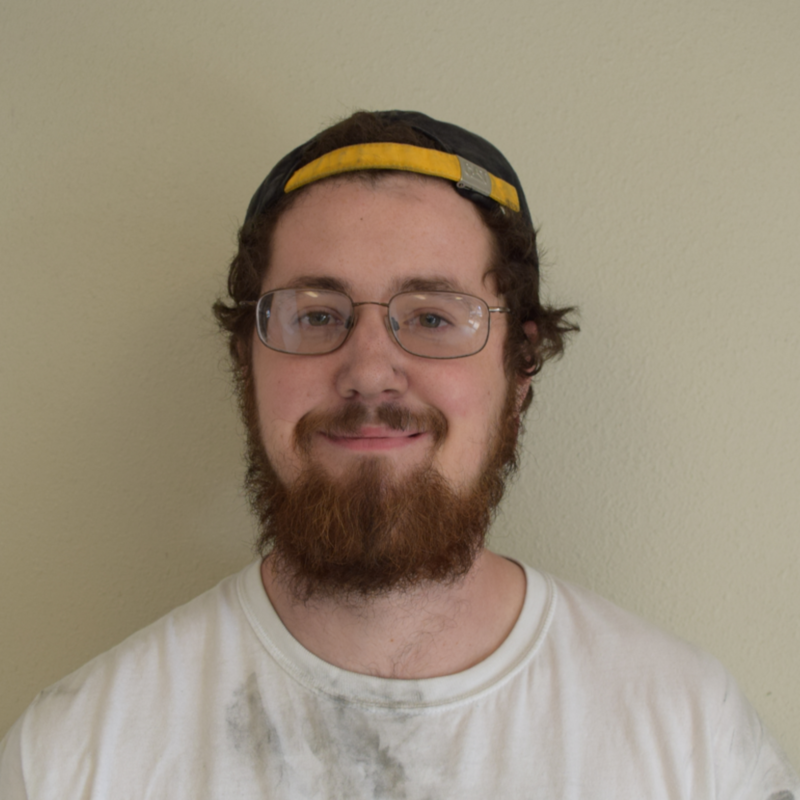 These days, Jack still enjoys woodworking as a hobby, plays drums and bass, and really likes pot-stickers. 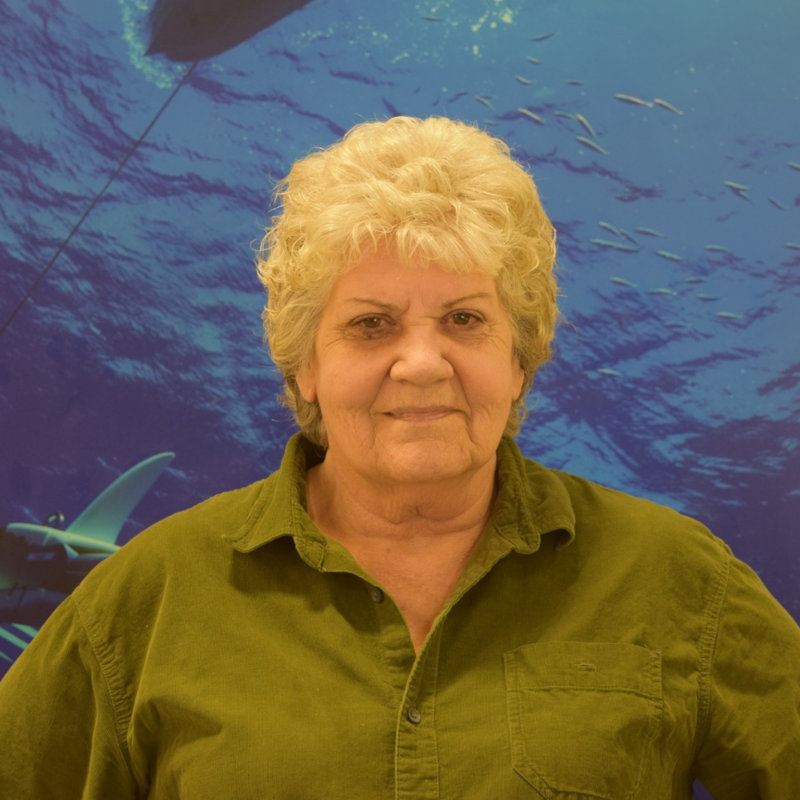 No matter the situation, Pam is known here at Composite Approach for lighting up a room! 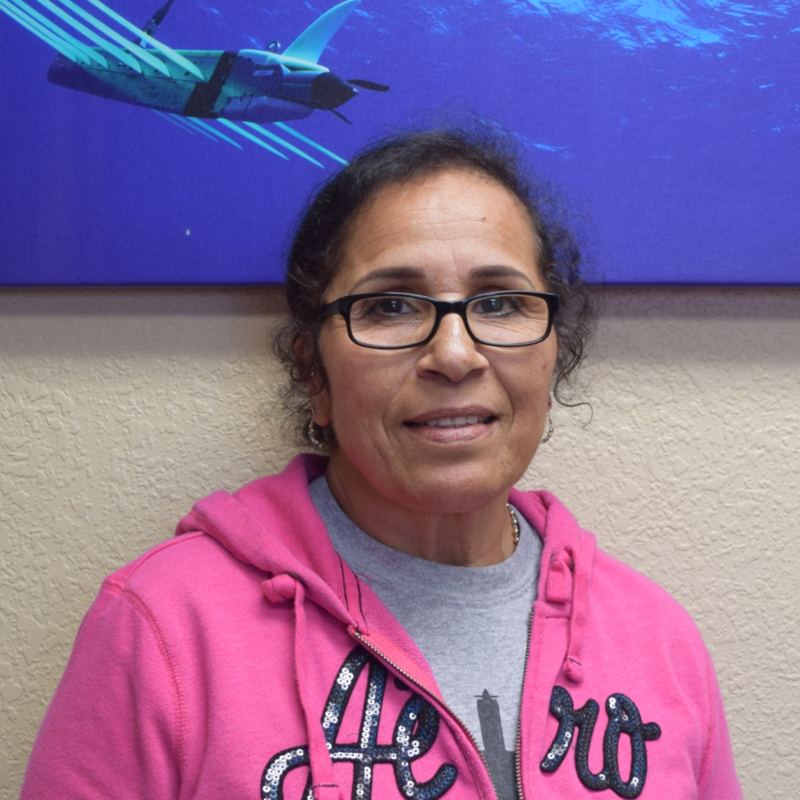 Her unconditional charisma makes her a great leader to guide new employees to take on becoming layup technicians- and at the rate that Composite Approach is growing, that guidance is critical. What’s more is in the midst of that, she is still cranking out small parts like nobody’s business. 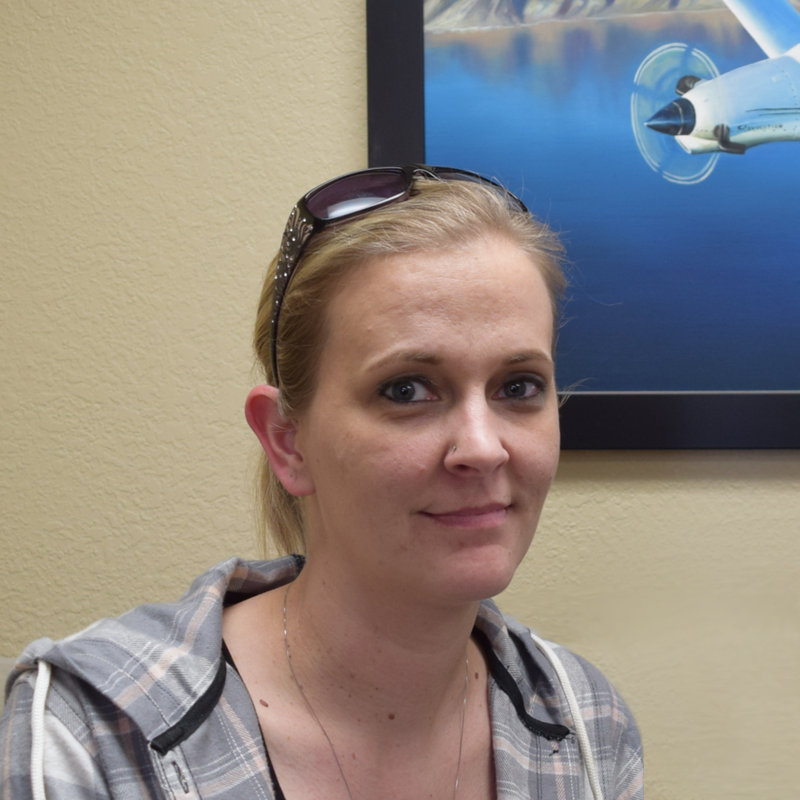 Pam joined our team with the background of working alongside Lancair Experimental, where she worked on fuselage parts with some of the employees we have here today! 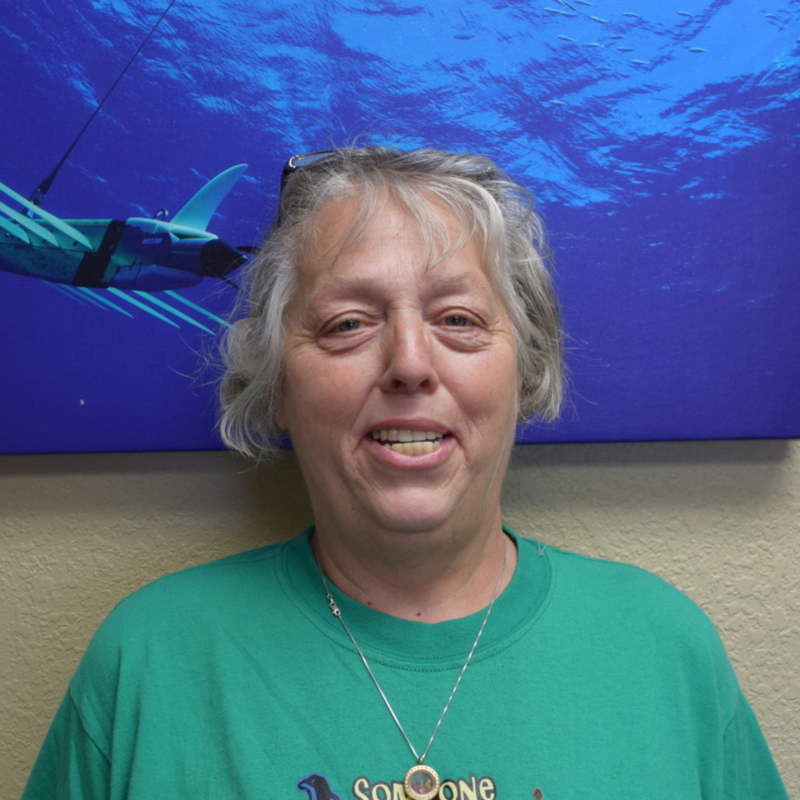 Outside of work, Pam likes to be outside: camping, hiking, four-wheeling, and simply spending time with her family. 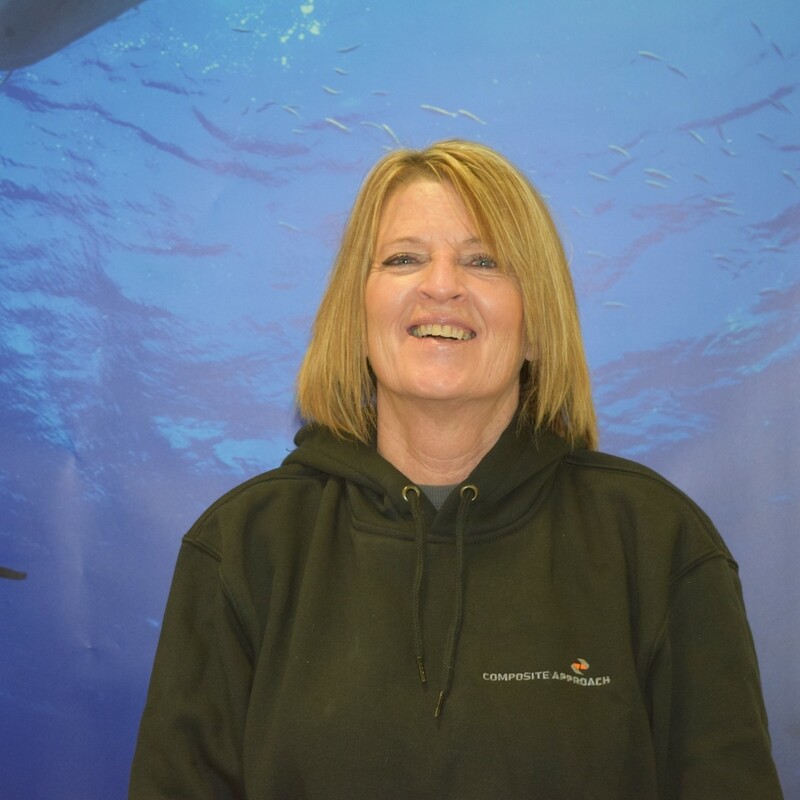 As much as Pam loves to help us grow, we love having her on our team. 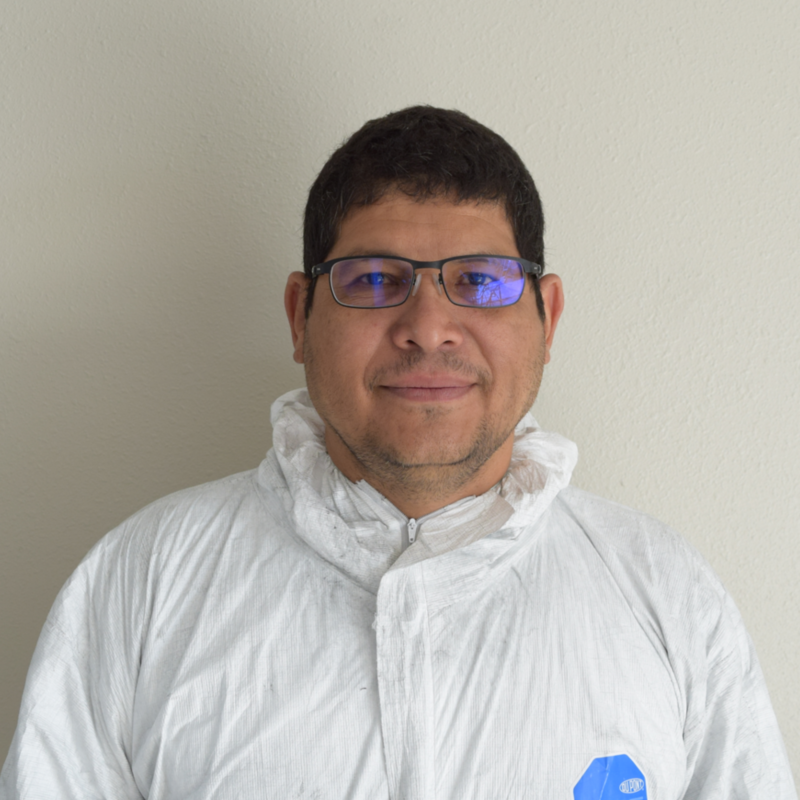 With plenty of expertise under his belt, Cesar is always making quality parts in the Lay Up department of Composite Approach. 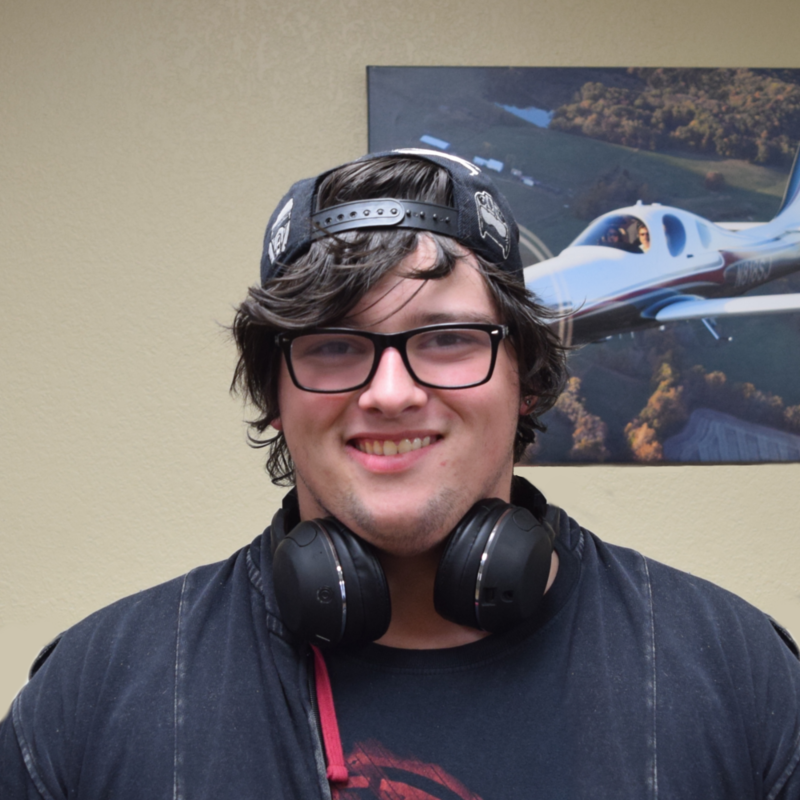 Working with Lancair Certified, and Lancair kit builds, there’s a thing or two he knows about making composite parts; hence him leading the charge with fuselage production! 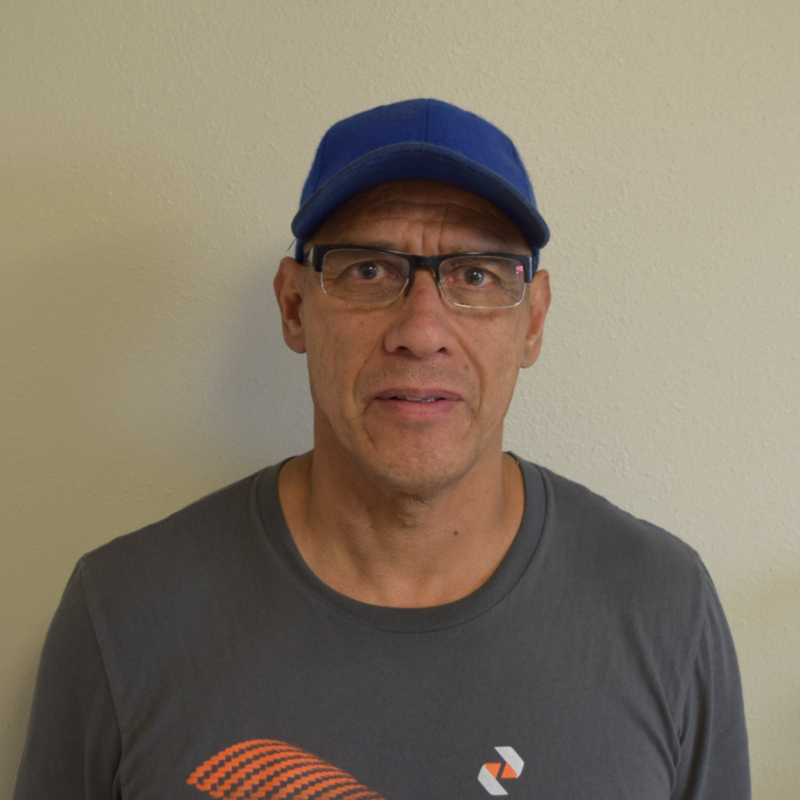 It won’t take long being around Cesar to know that he has a passion for music–aside from the fact that he knows how to spin some vinyl–given he was formerly a DJ. Outside of work, he loves to hang out with his friends and play sports. 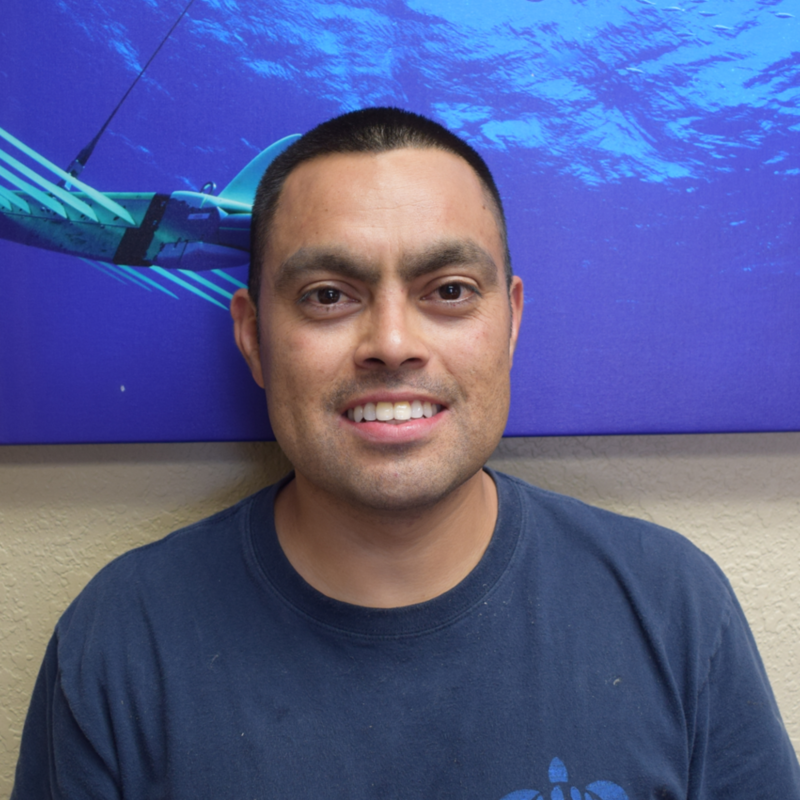 Cesar brings such a friendly presence to our team here at Composite Approach, and sees the value in the work put into the final product. We’re so glad to have him! 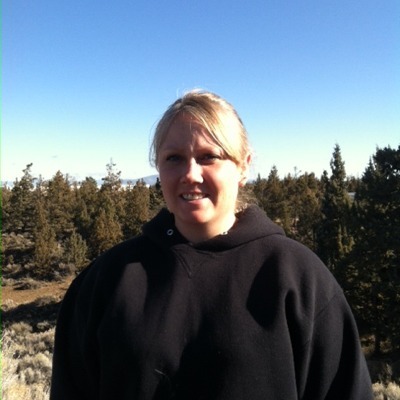 Kristian originally hails from Sacramento, California, and spent some time in Ohio and Arizona before establishing a home base in Oregon. 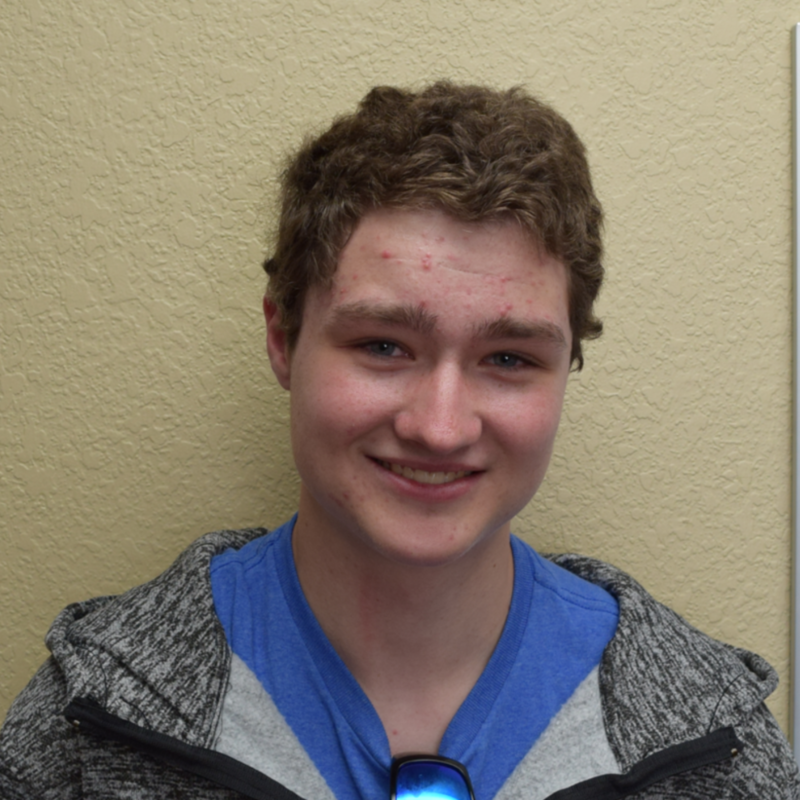 When Kristian first hit double digits, he was recruited by a neighbor for a competitive BMX bike racing team, with Phoenix Bicycles in Portland, Oregon. Test riding and racing BMX bikes has taken Kristian all over the country, and has given him a unique background in the carbon world—he test-rode some of the very first carbon bikes in the BMX industry. This career lasted about 10 years, and to this day Kristian still enjoys riding for fun and competing independently. These days, Kristian still works professionally with carbon—but this time, he’s on the manufacturing end. 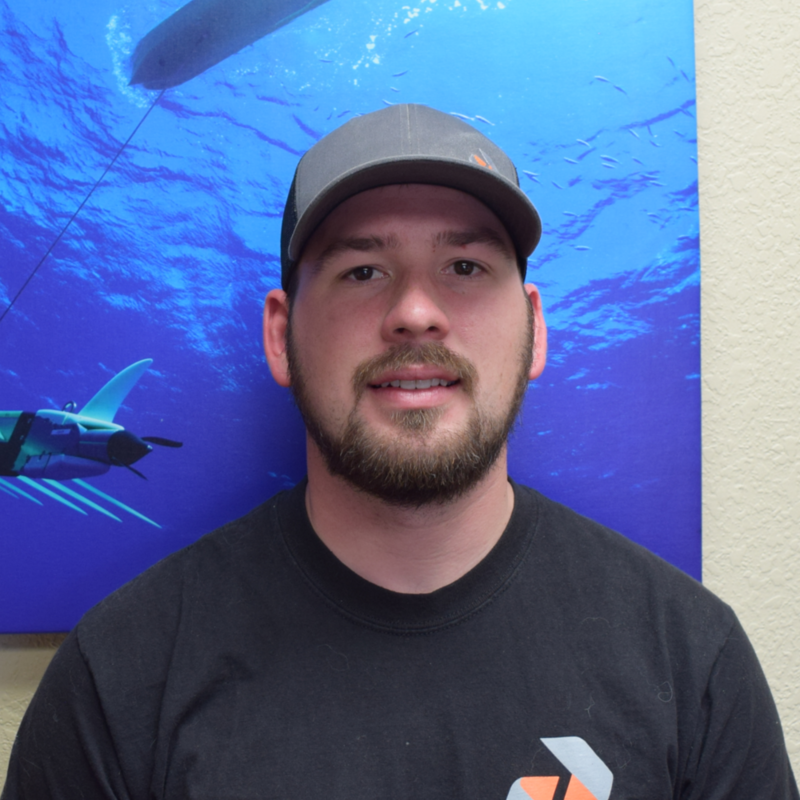 Kristian is all about learning as much as he can—so he’s a perfect fit for the opportunities in research and development here at Composite Approach. 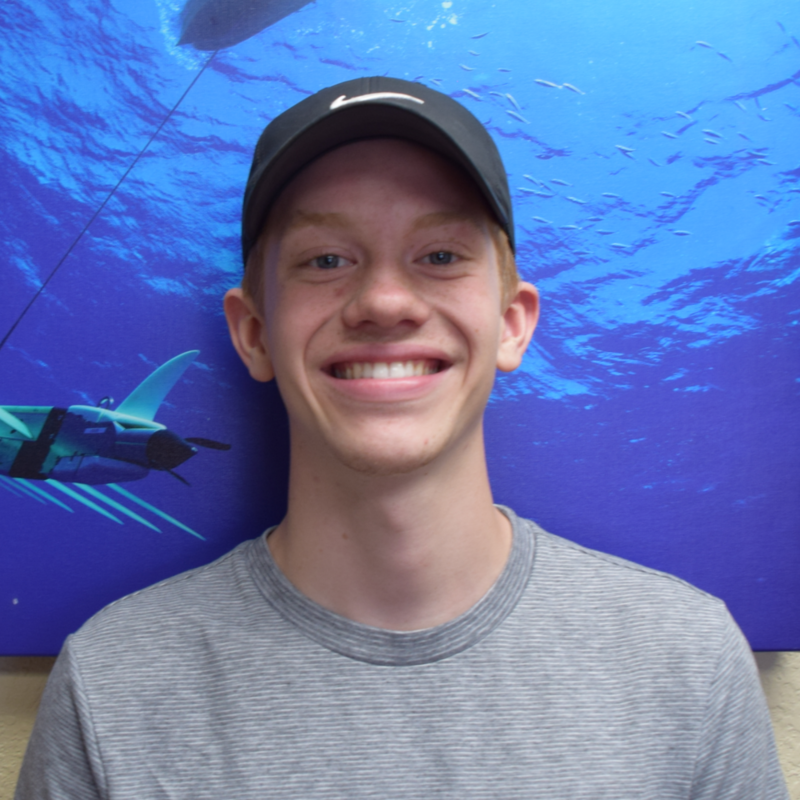 He loves the fact that he can be part of “building things people have never seen.” He really appreciates the positive environment and how teammates are willing to help each other out. 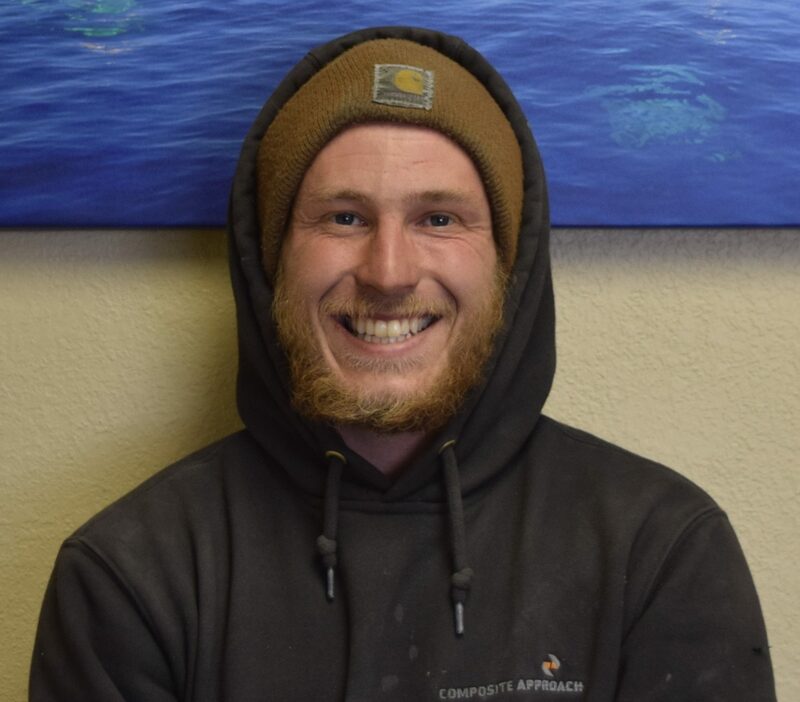 Kristian is known around the shop for his ever-present smile, can walk on his hands for a good two minutes, and loves a good bowl of cake in milk (minus the frosting, of course). 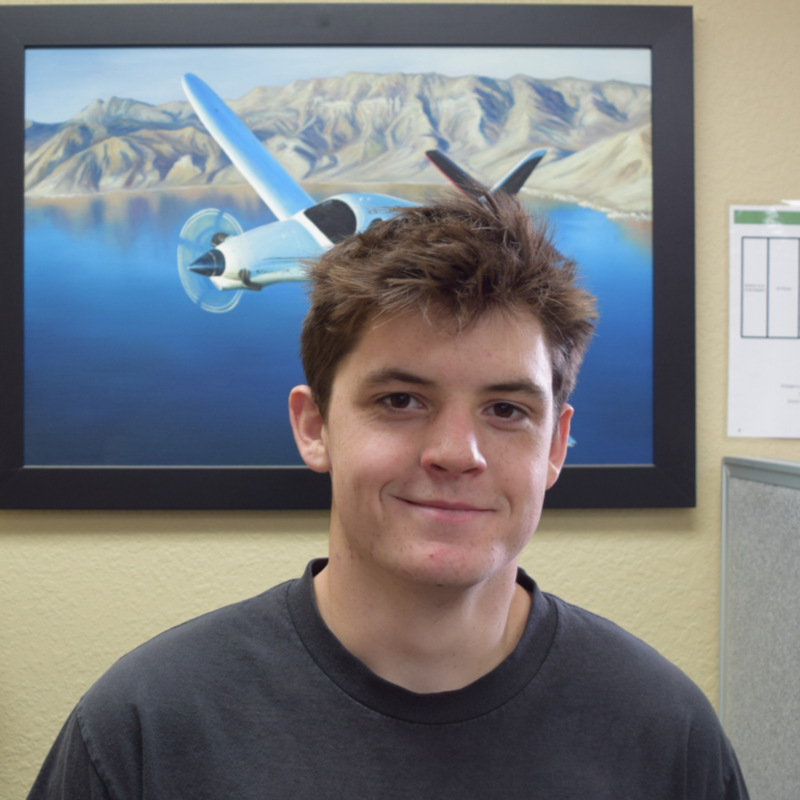 Matt rocks at a lot of things; one thing in specific, is keeping Kitty Hawk Flyers in swift production. You can find him bonding, leveling, and inspecting- just to name a few things he does around here. 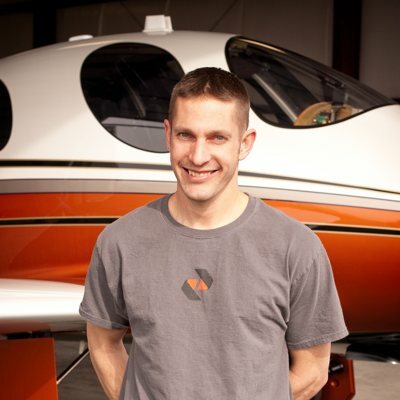 Having experience with working with Lancair kit planes and Evolution aircraft, Matt came to Composite Approach utilizing his expertise to take part in some of the most essential parts of assembly. He loves the culture and hard-working culture this company brings. 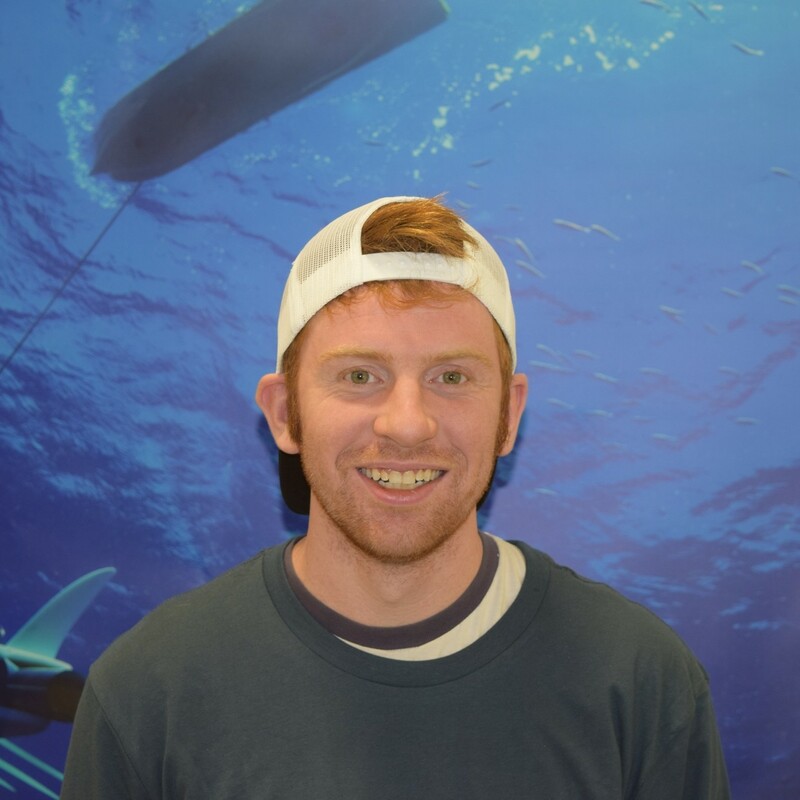 Although, Matt only works here for hobby because he is a full-time drummer in a rock band! His passion for music has taken him to go on tour to every state in the country, but that is second to his passion for people, as it is quite apparent at Composite Approach. We are grateful to have Matt here with us! 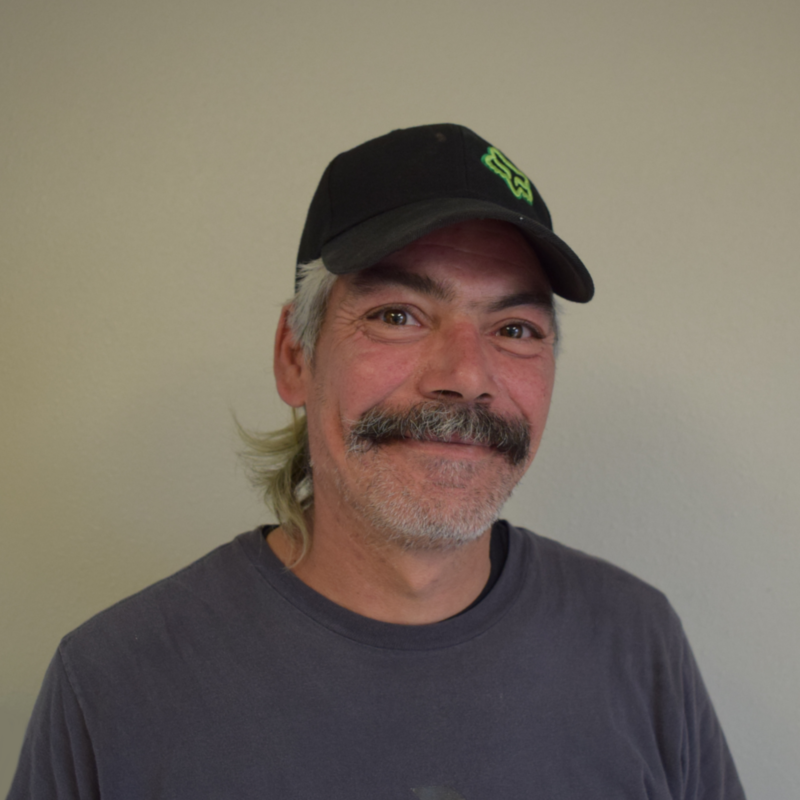 Although Alfonzo has the title of leading the madcap team, his position stretches much further as he directs the tooling of Earth Cruiser molds, the commission of parts required for customers’ projects, and sure enough, the production of our very own madcap adventure campers. Aside from that, he displays the leadership and sets an example with an attention to making high quality products. Before working his fiberglass, Alfonzo worked with Lancair, using carbon fiber to handle wet lay ups. And those aren’t the only lay ups he is good at; he is also an avid basketball player! 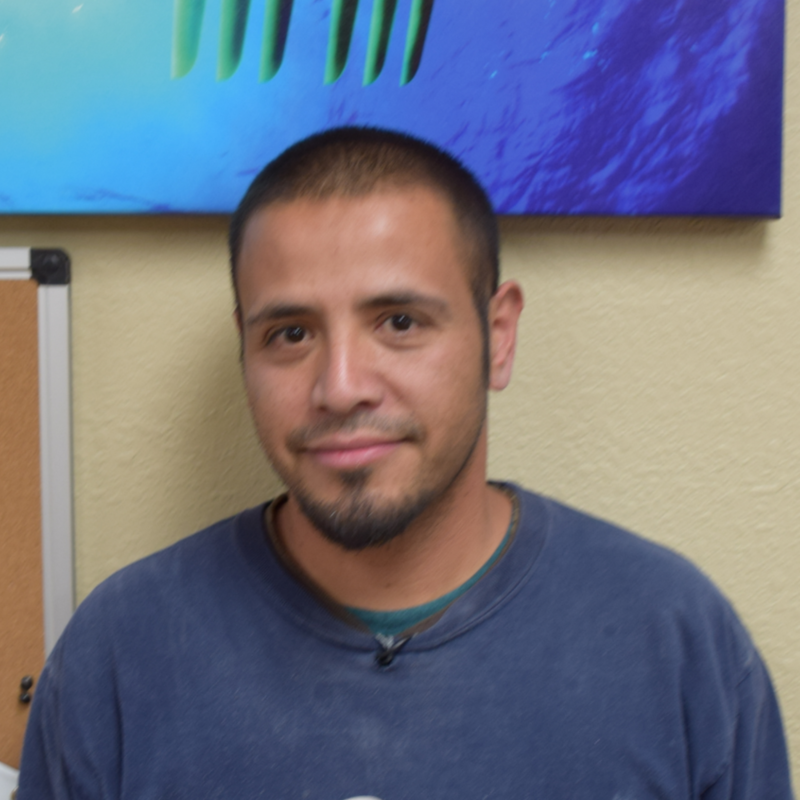 As much as Alfonzo loves seeing the finished product here at Composite Approach, we love to have him on our team.